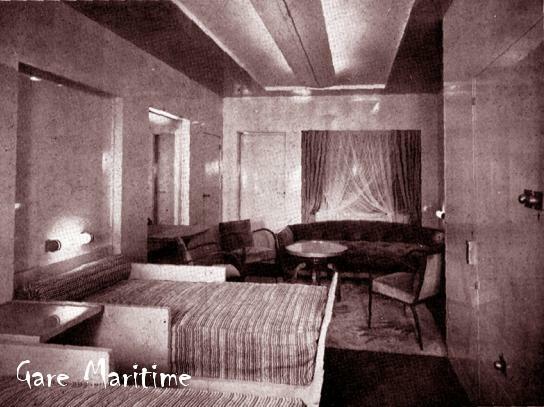 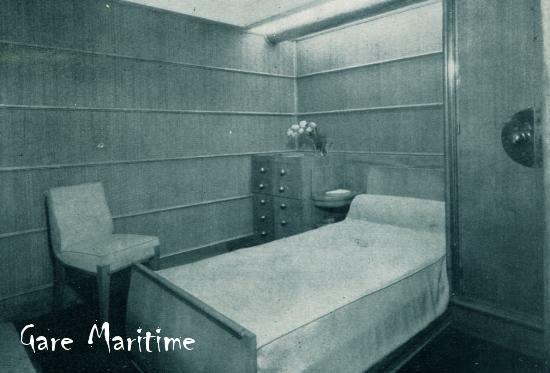 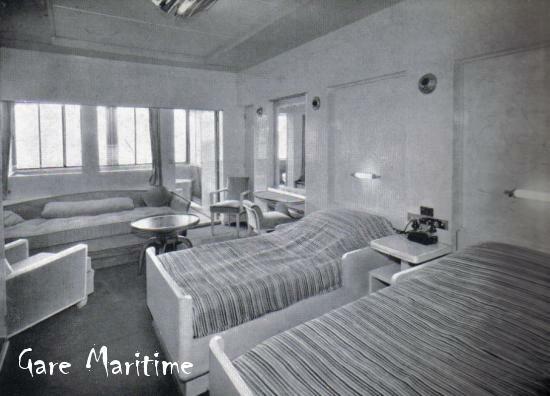 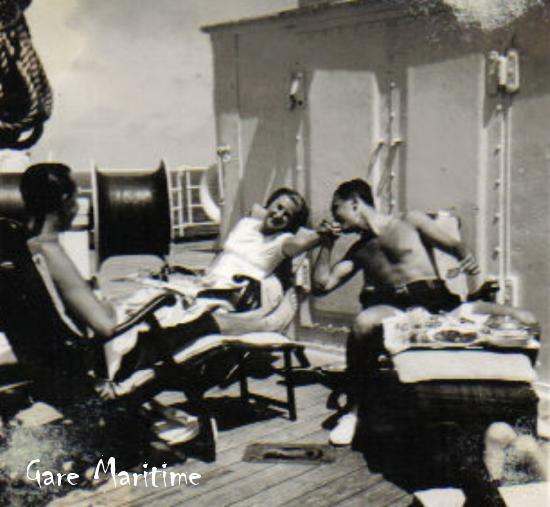 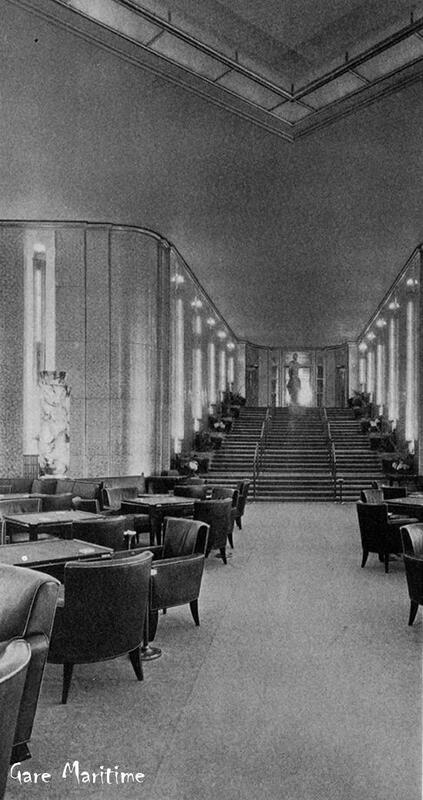 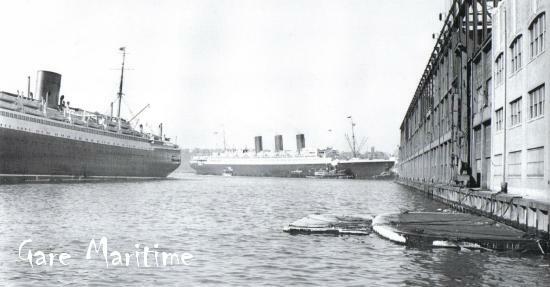 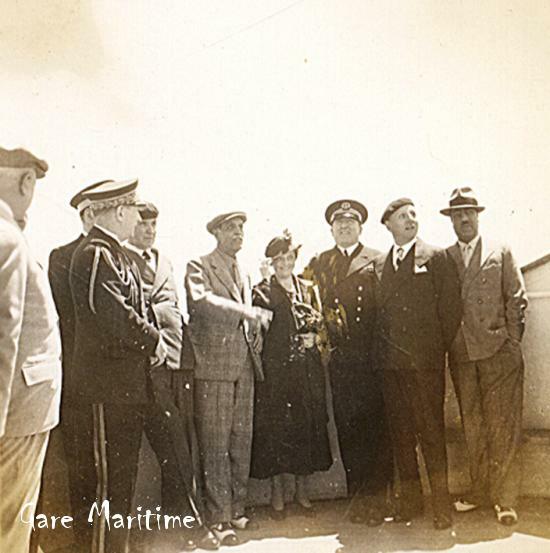 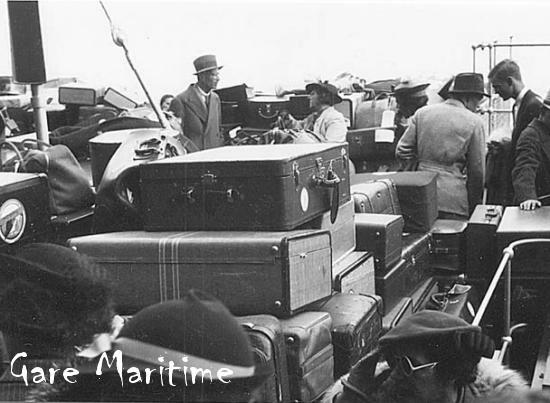 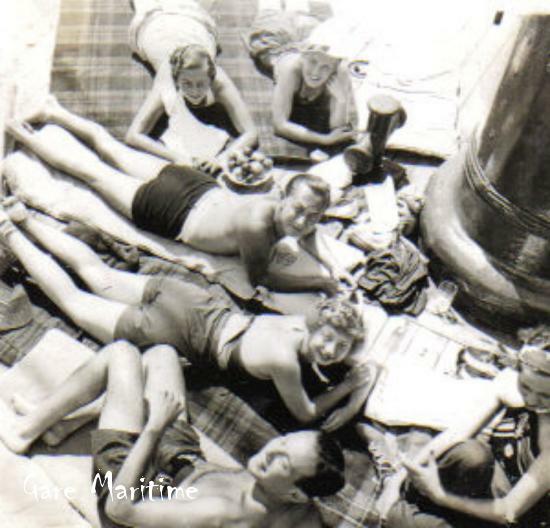 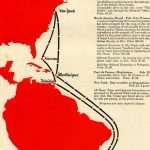 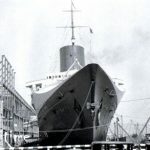 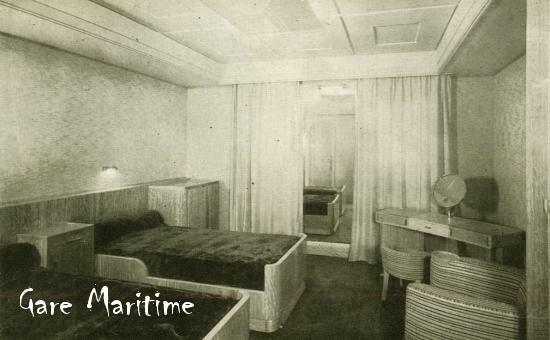 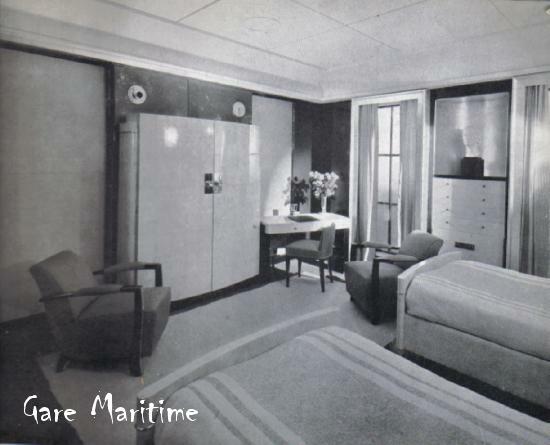 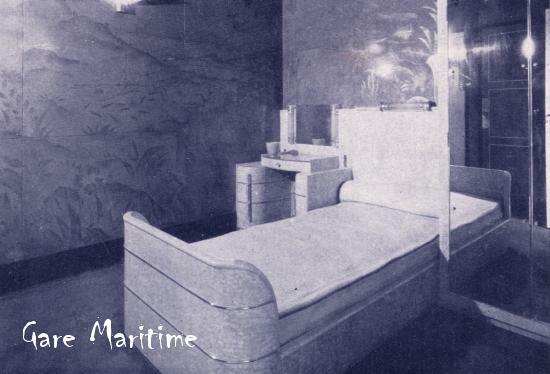 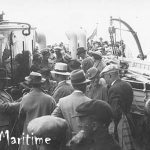 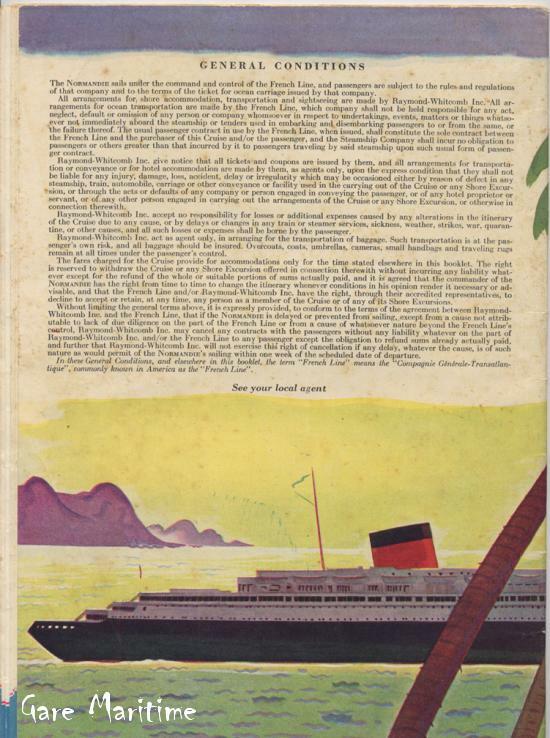 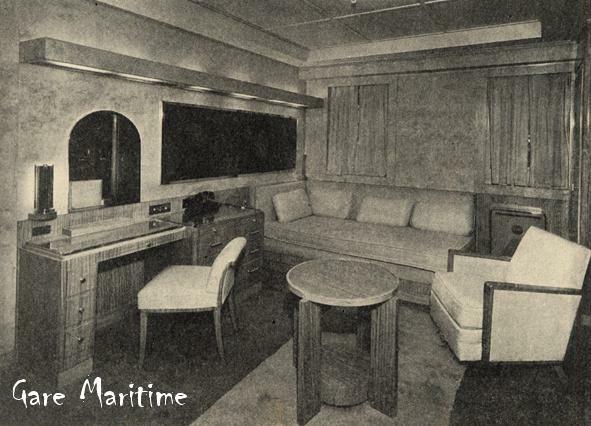 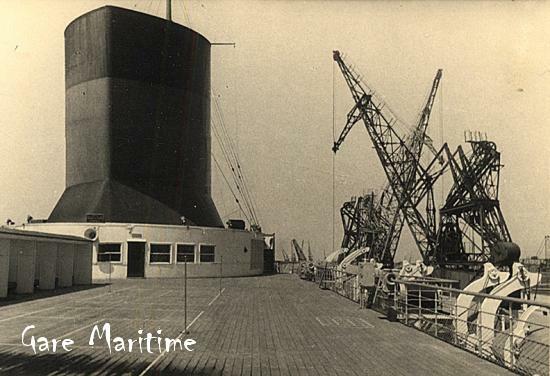 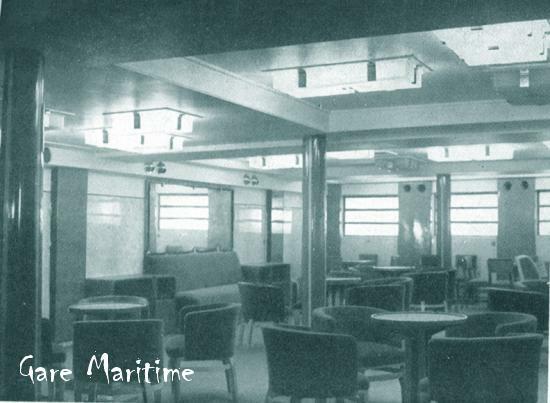 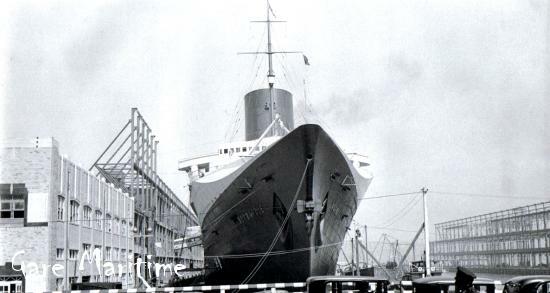 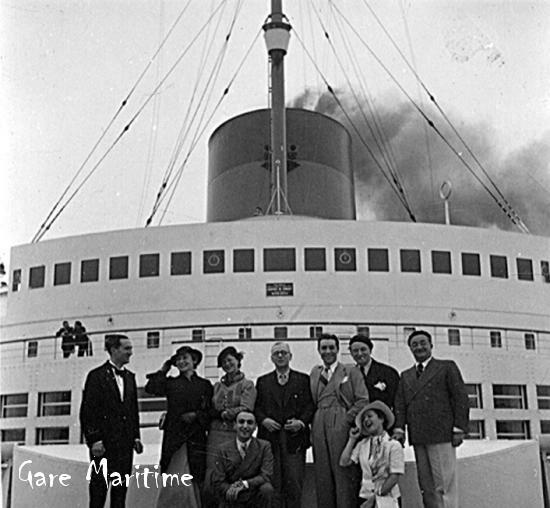 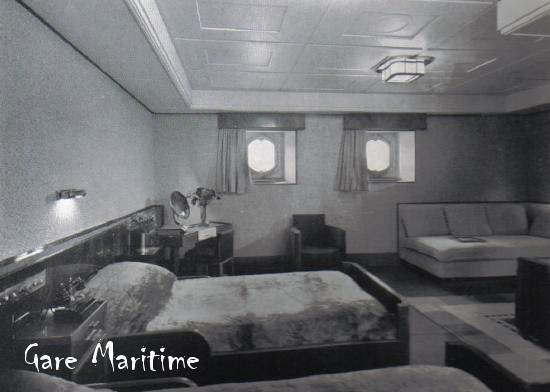 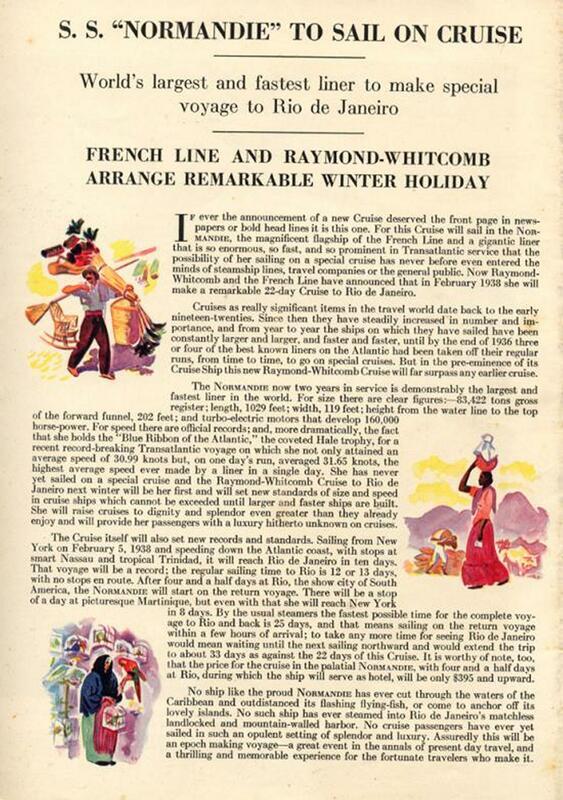 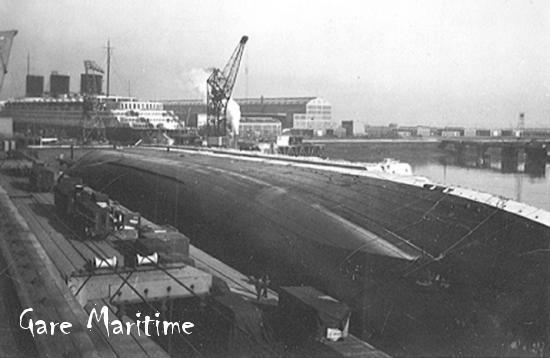 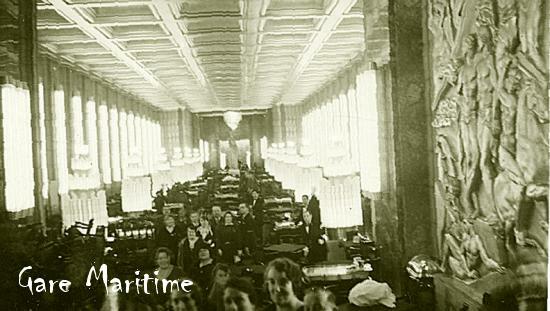 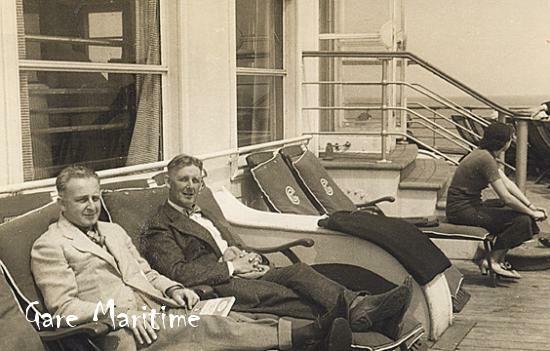 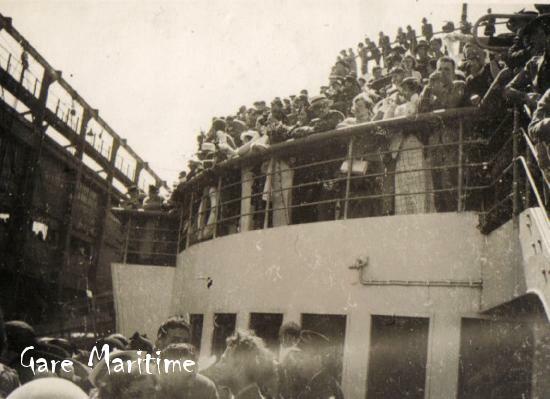 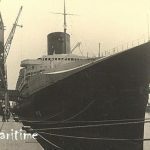 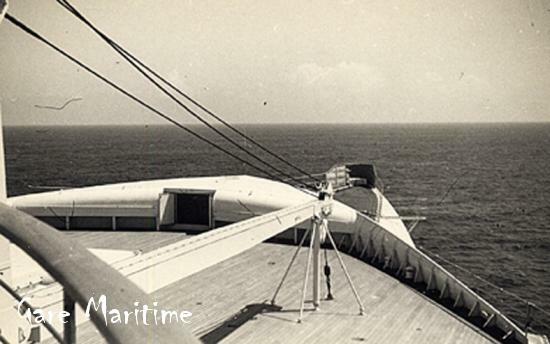 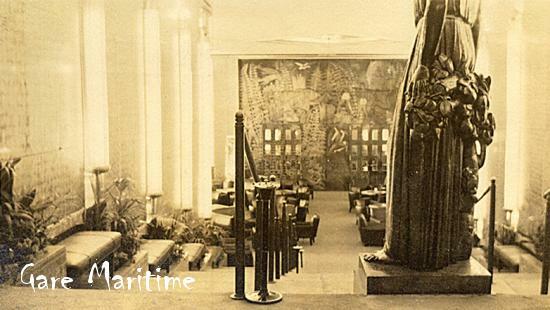 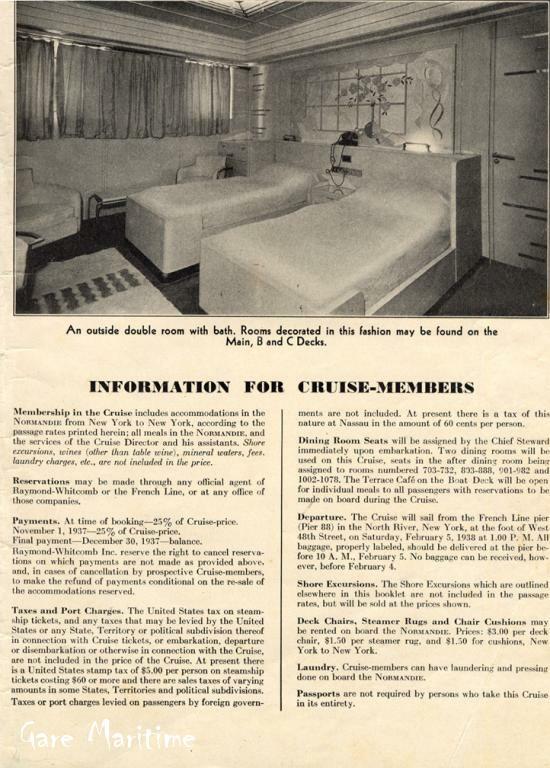 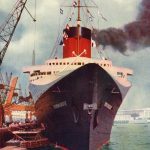 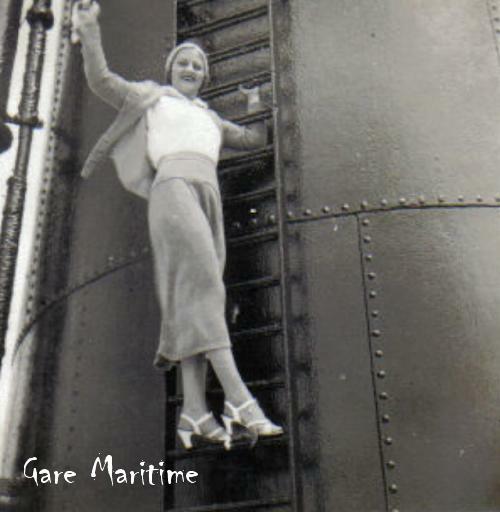 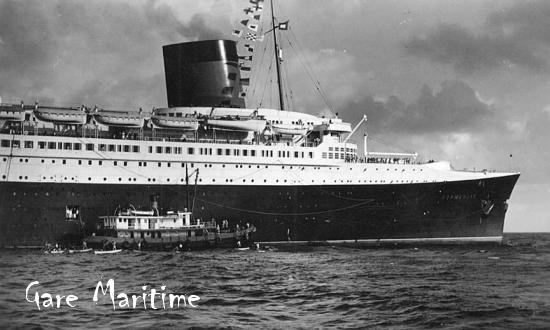 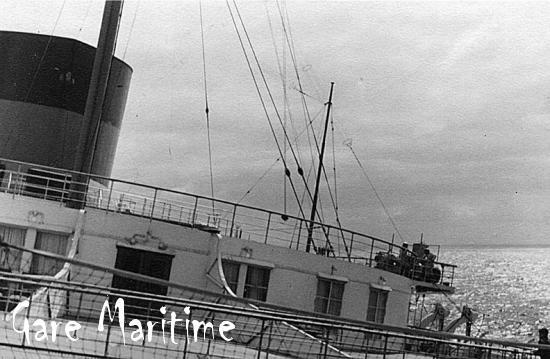 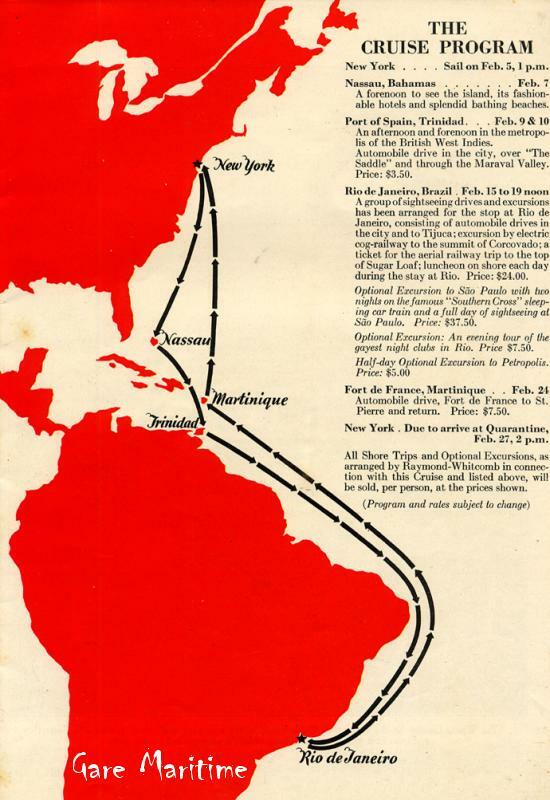 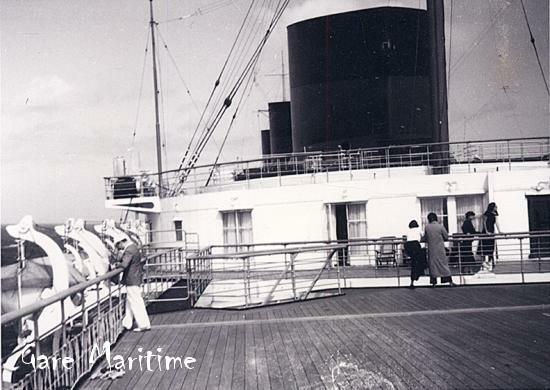 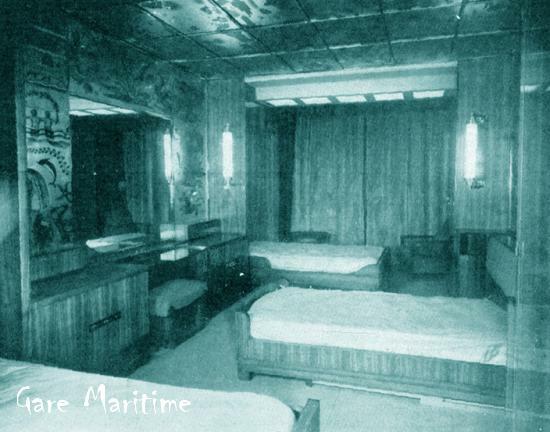 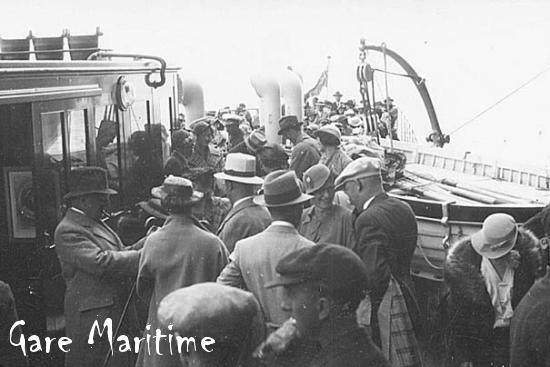 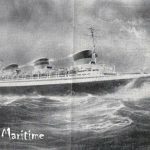 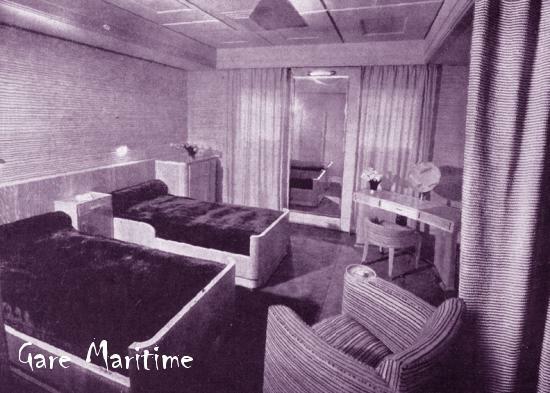 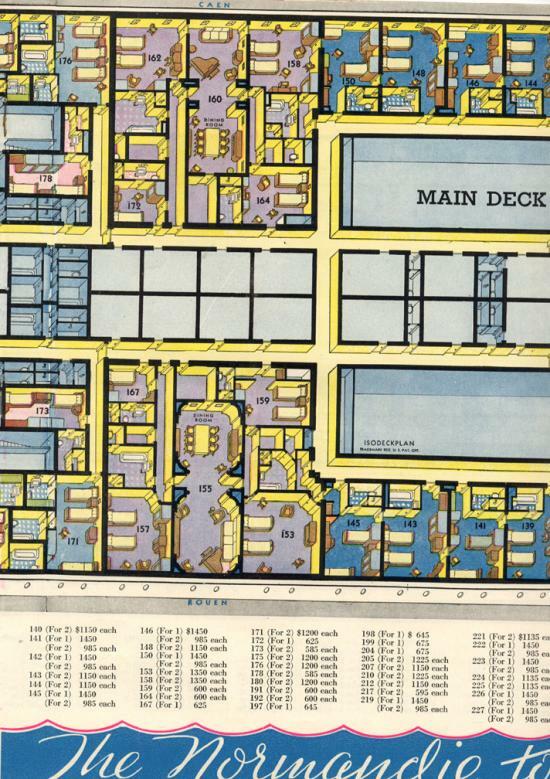 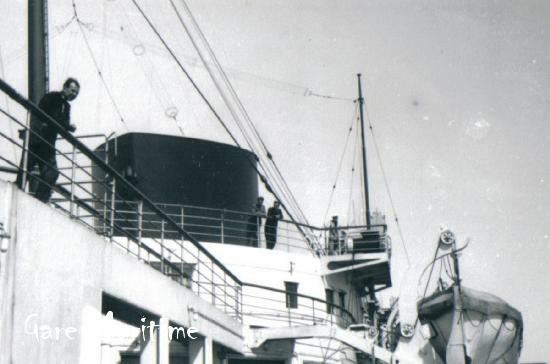 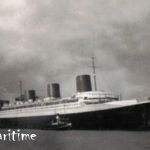 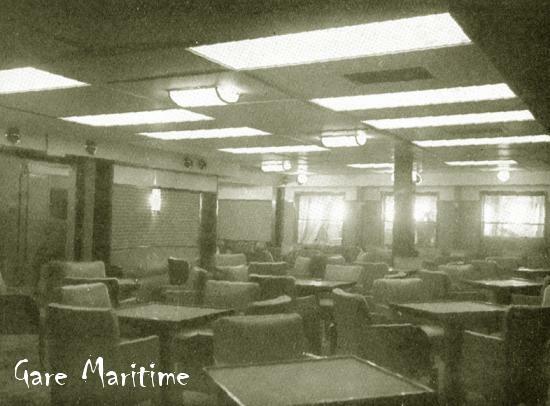 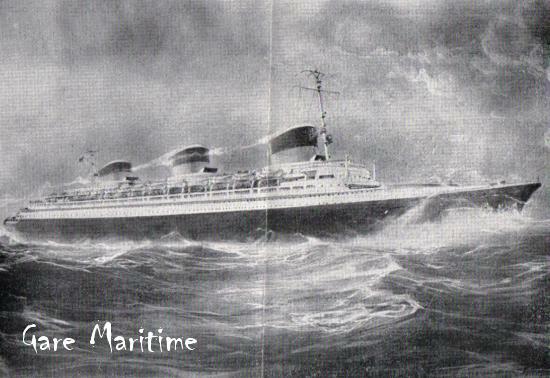 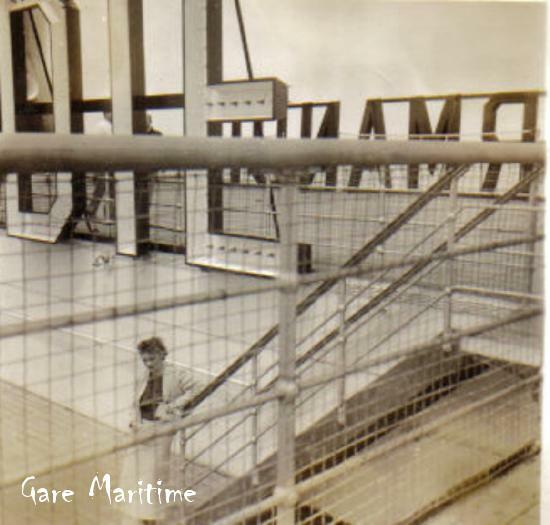 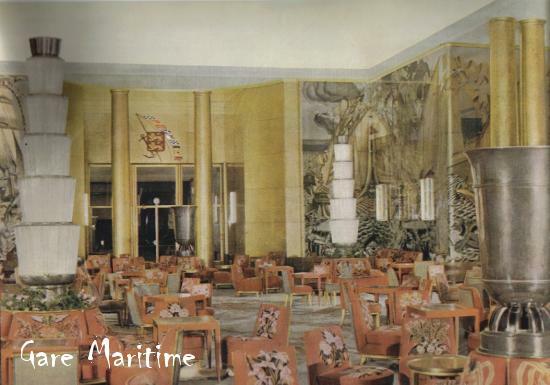 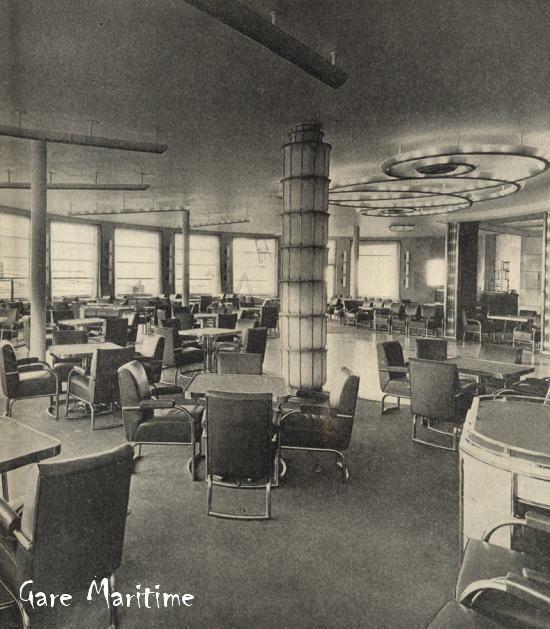 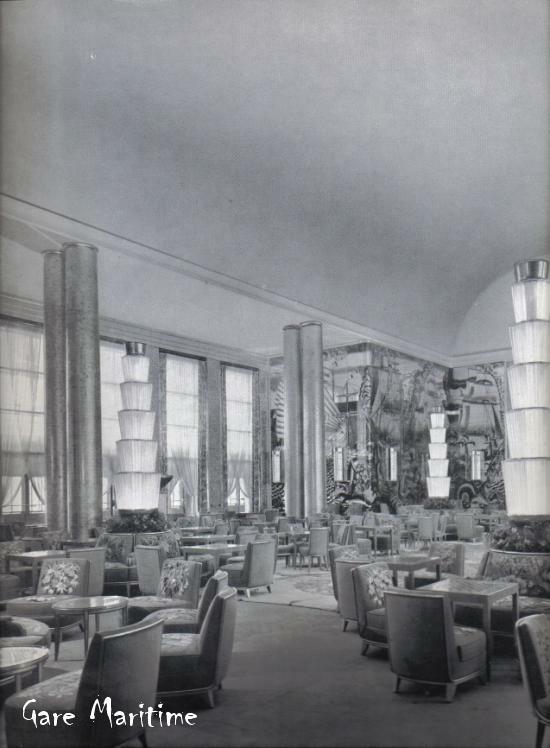 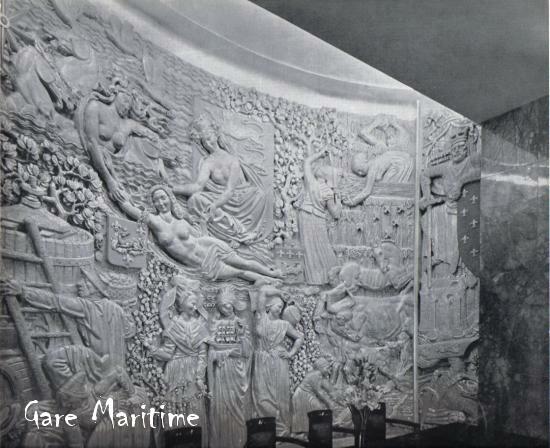 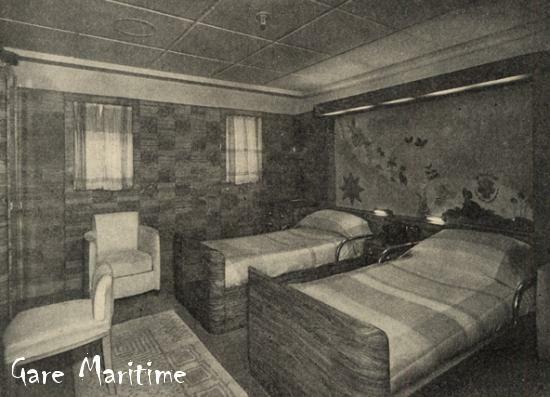 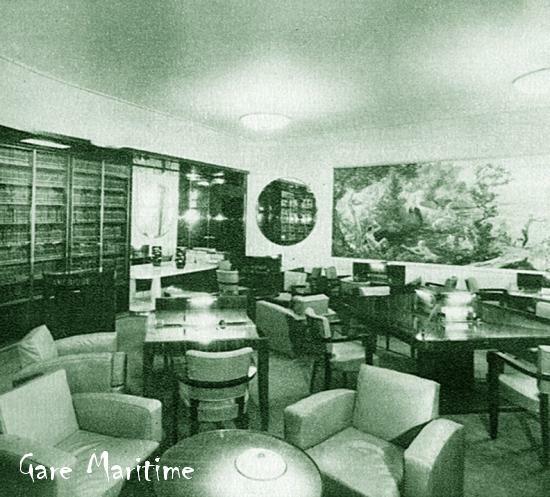 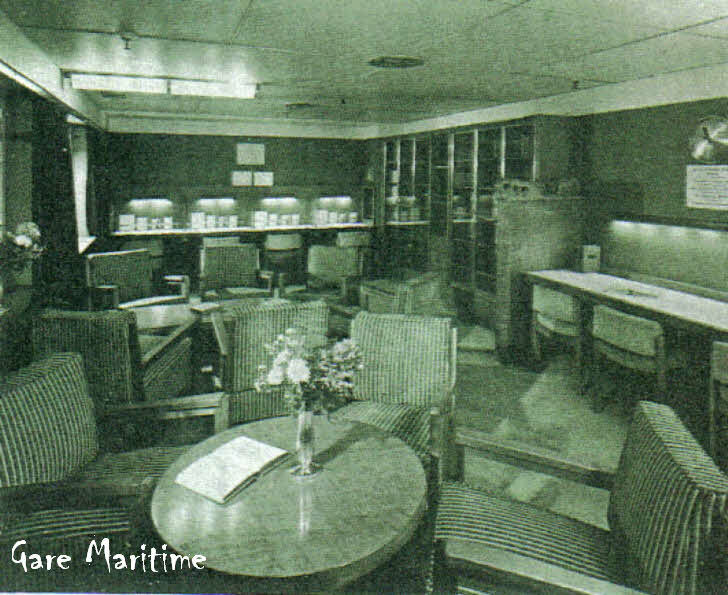 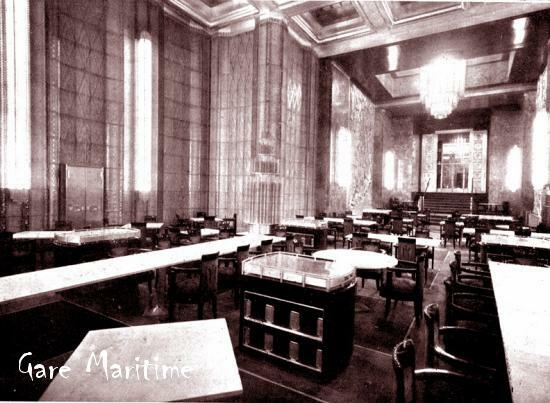 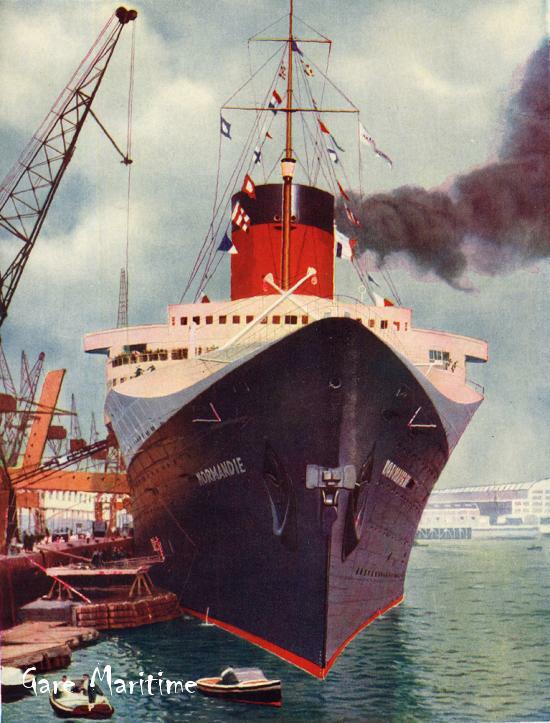 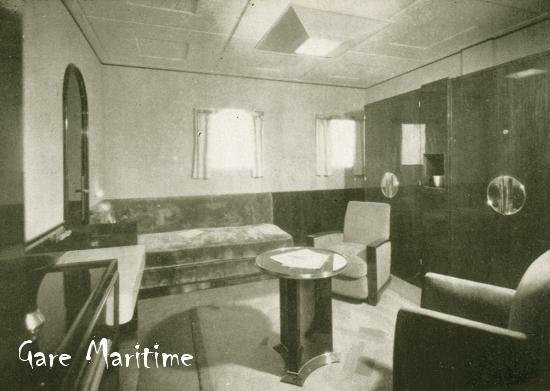 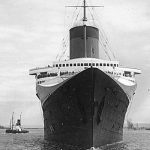 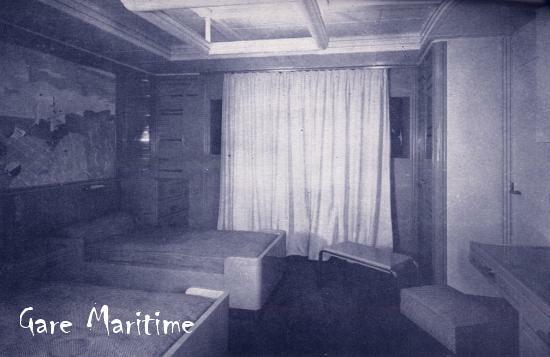 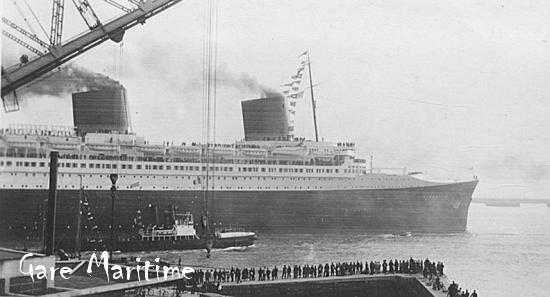 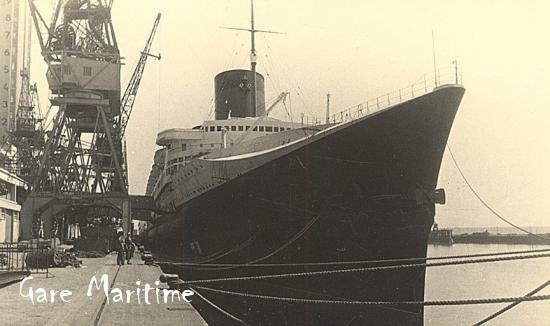 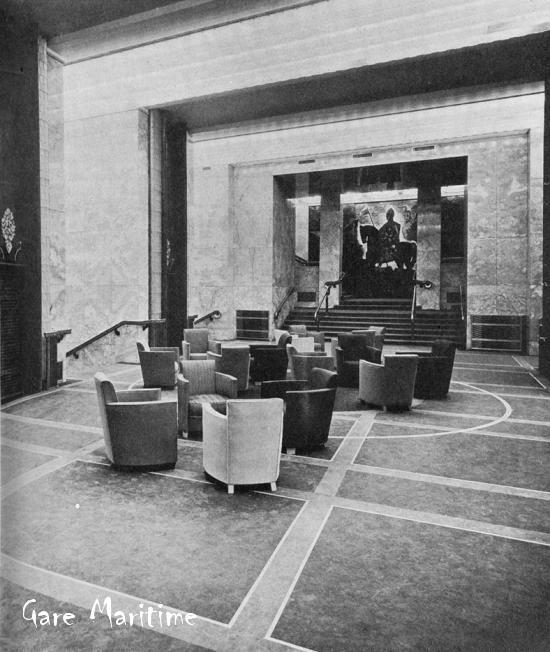 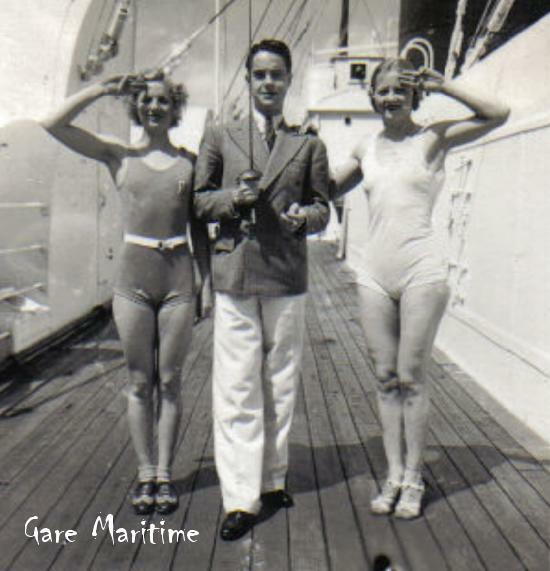 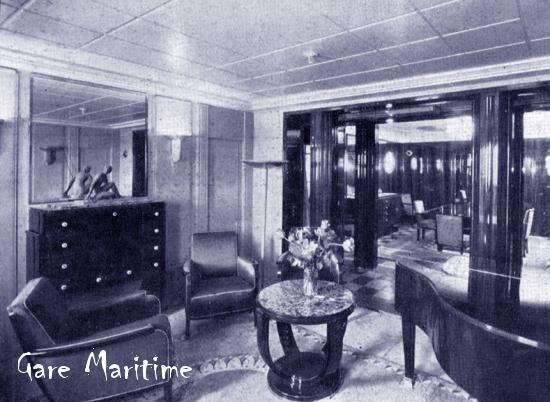 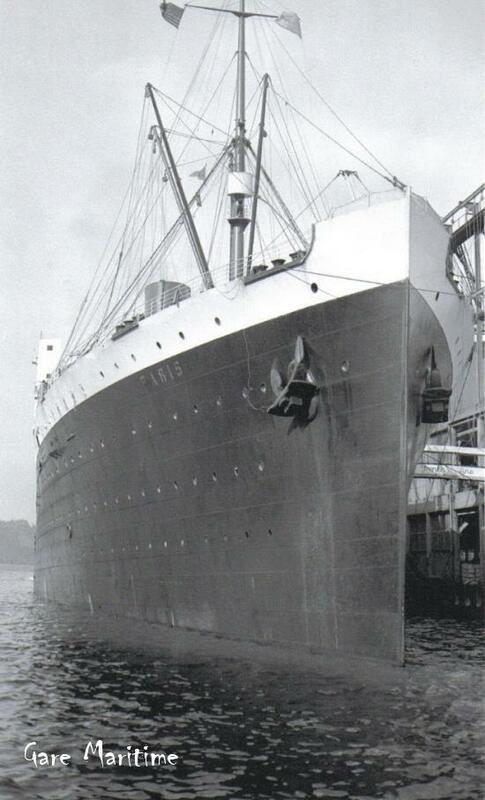 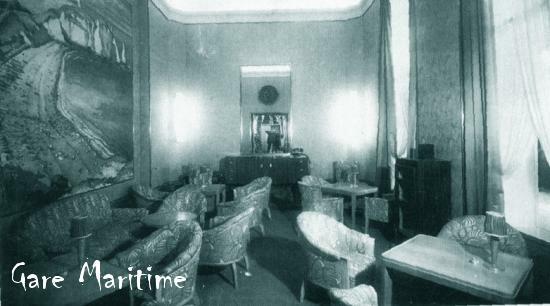 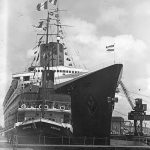 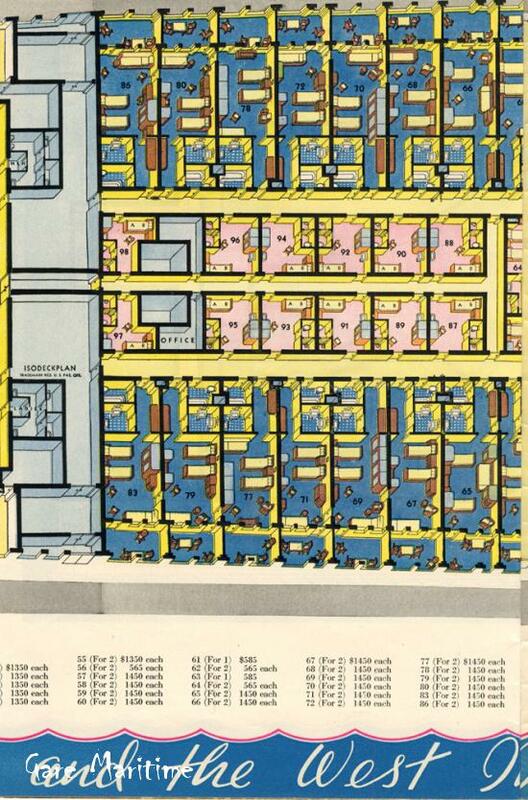 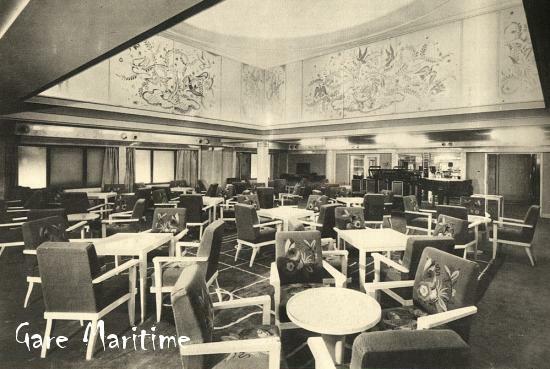 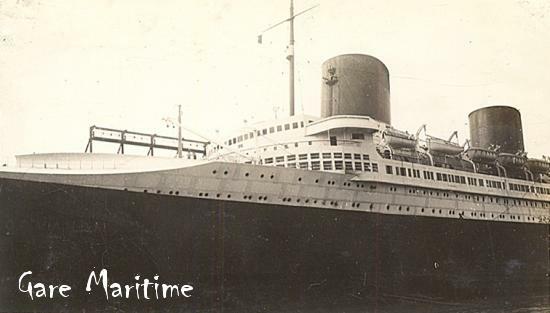 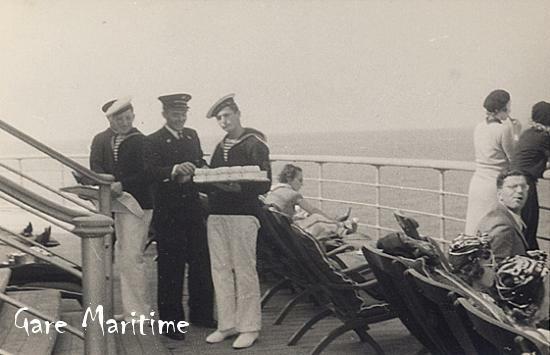 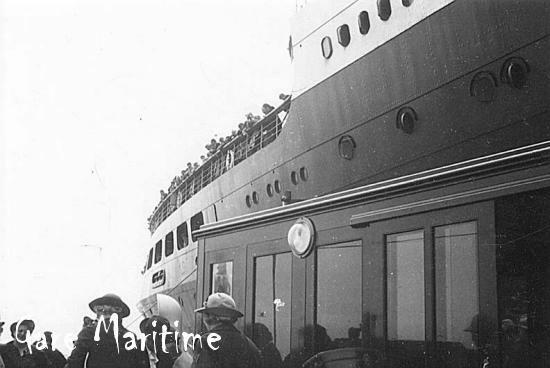 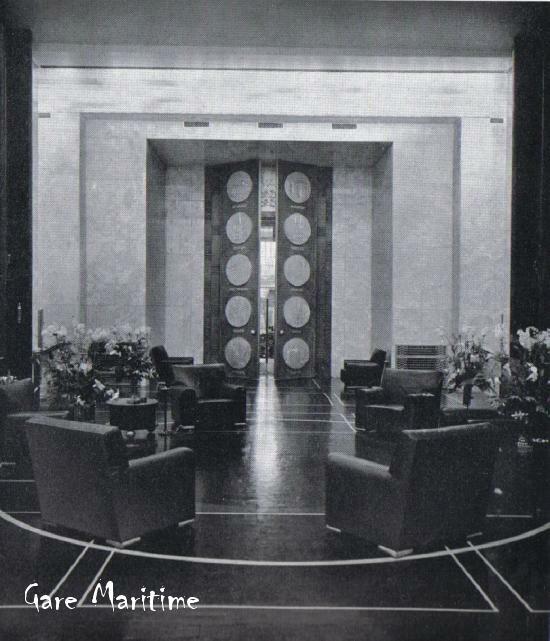 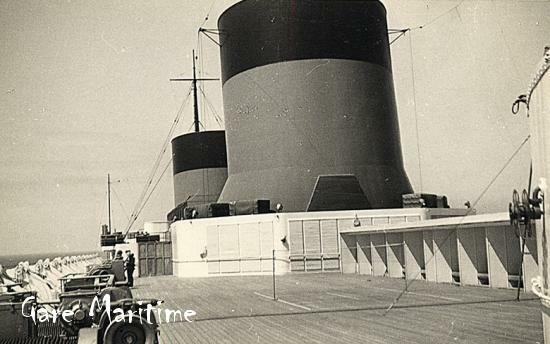 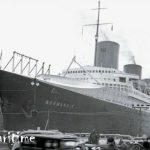 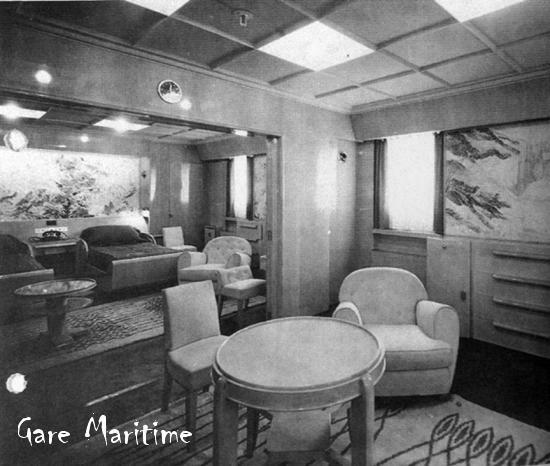 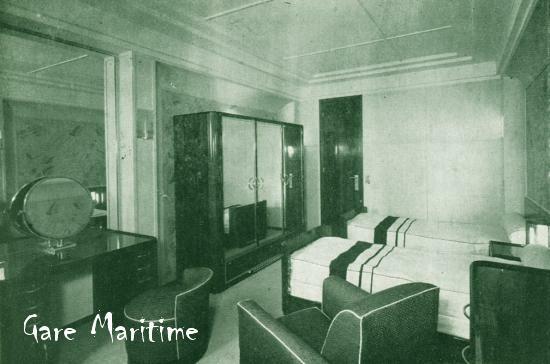 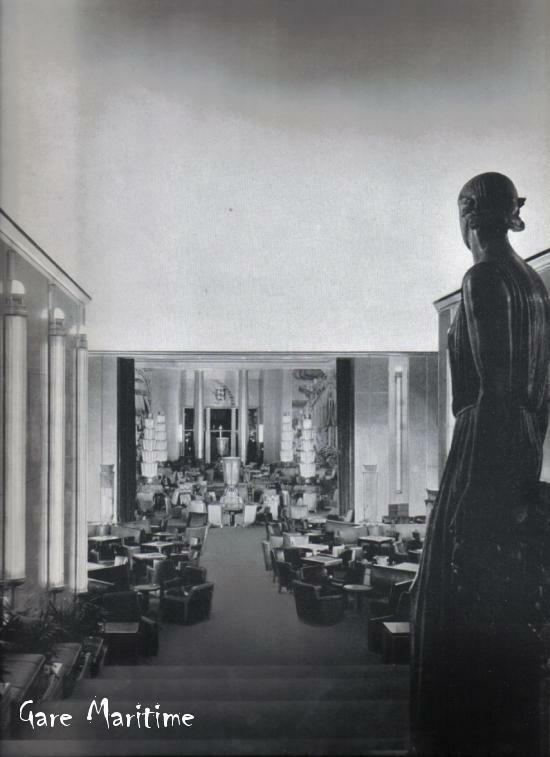 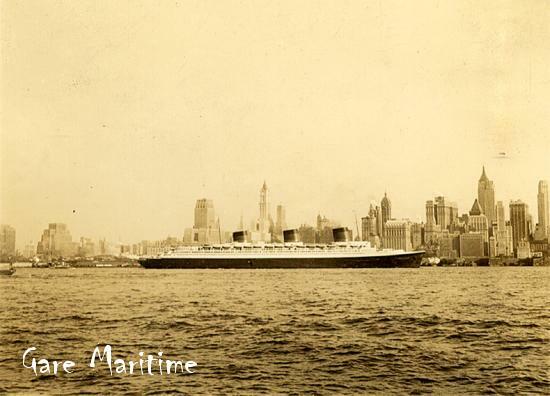 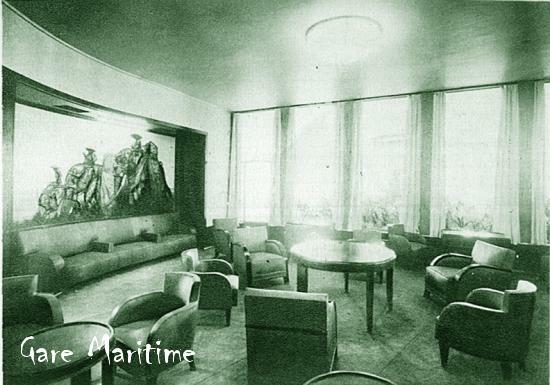 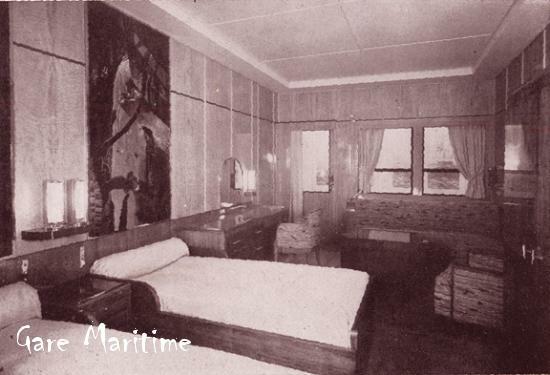 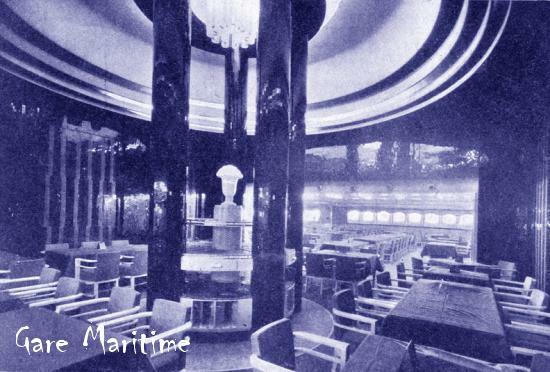 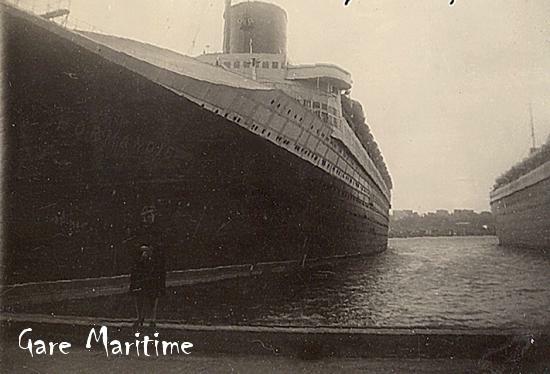 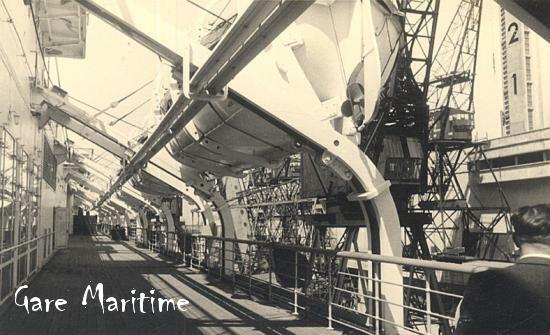 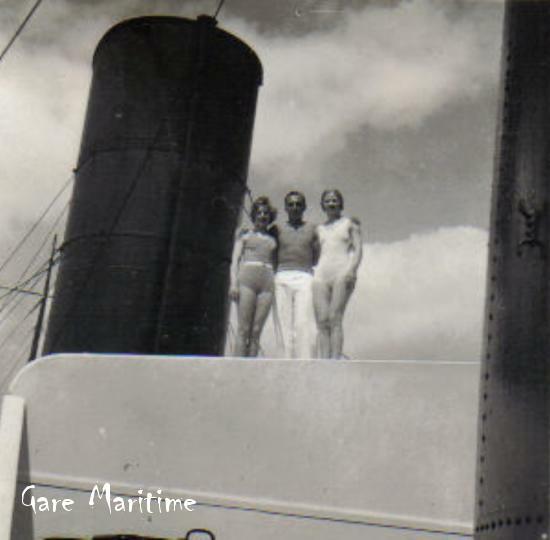 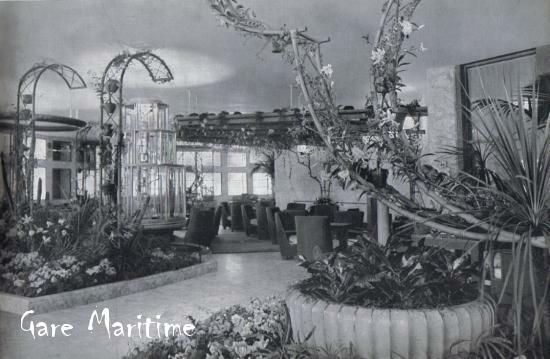 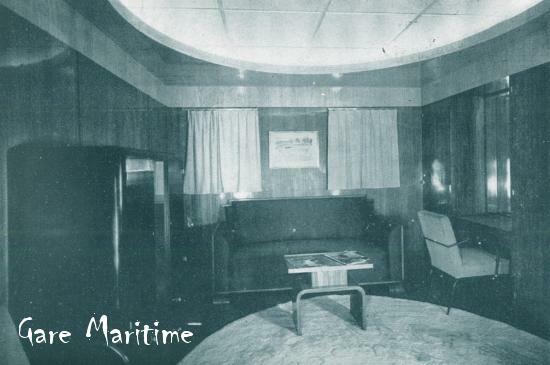 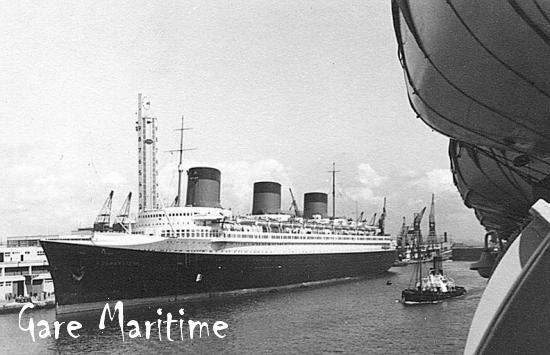 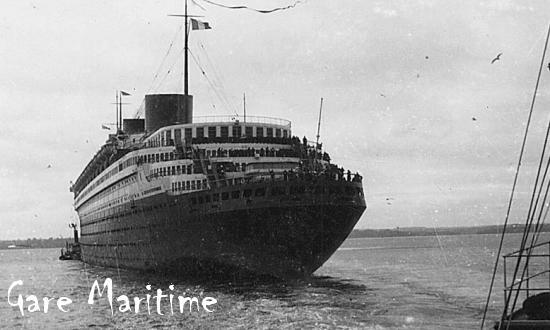 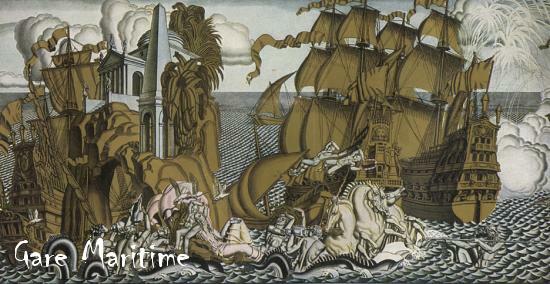 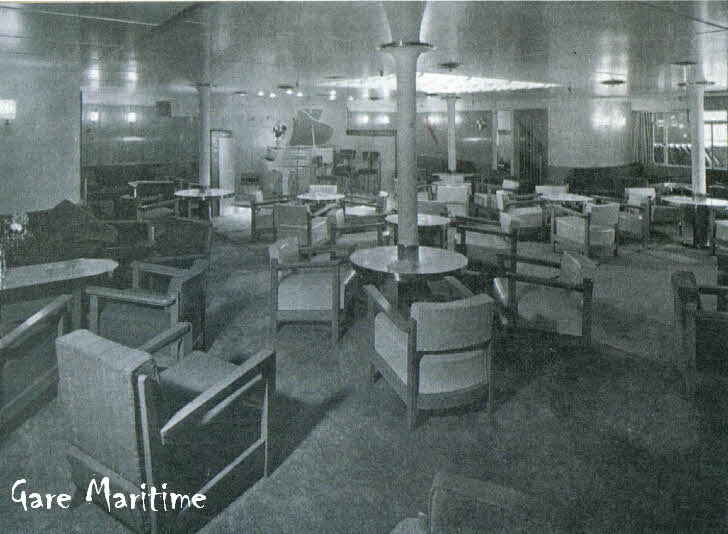 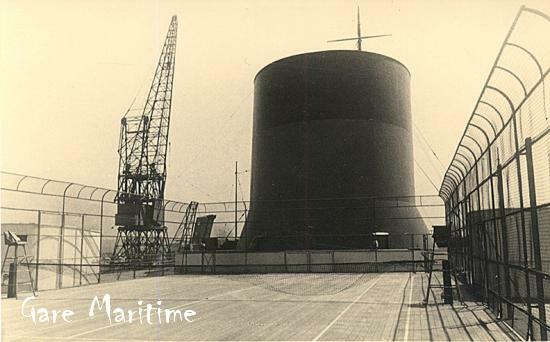 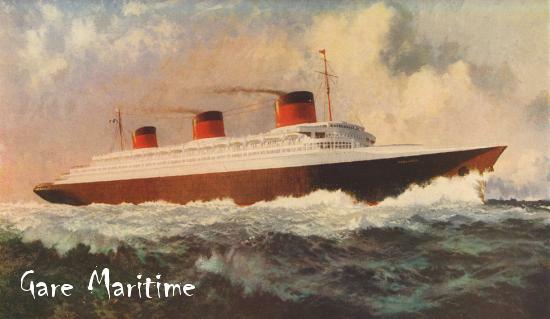 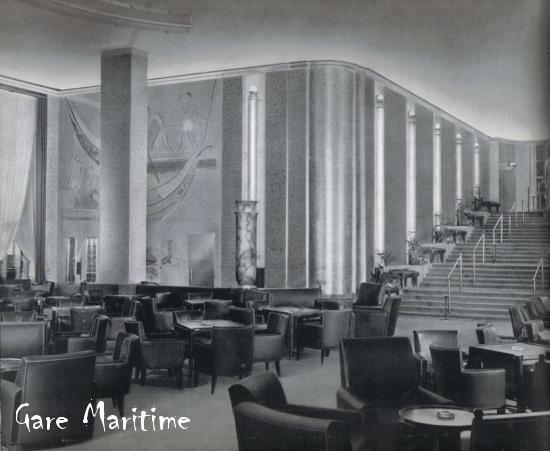 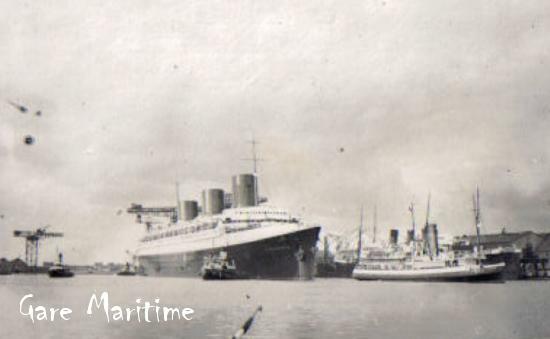 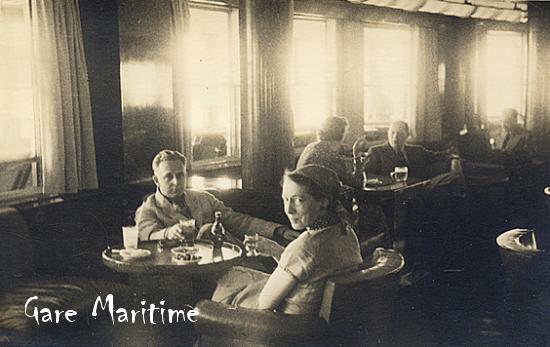 An American by the name of Ralph Klein travelled to and from Europe during the summer of 1936 aboard CGT Liners. 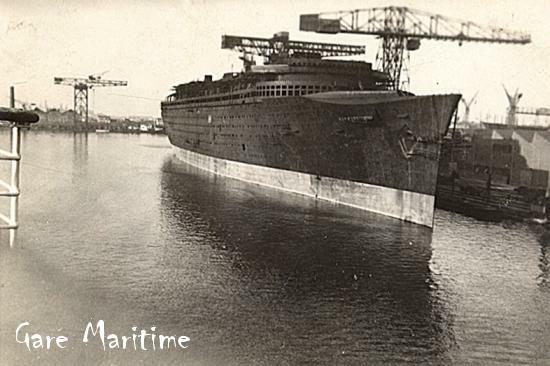 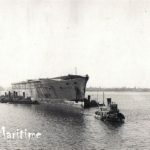 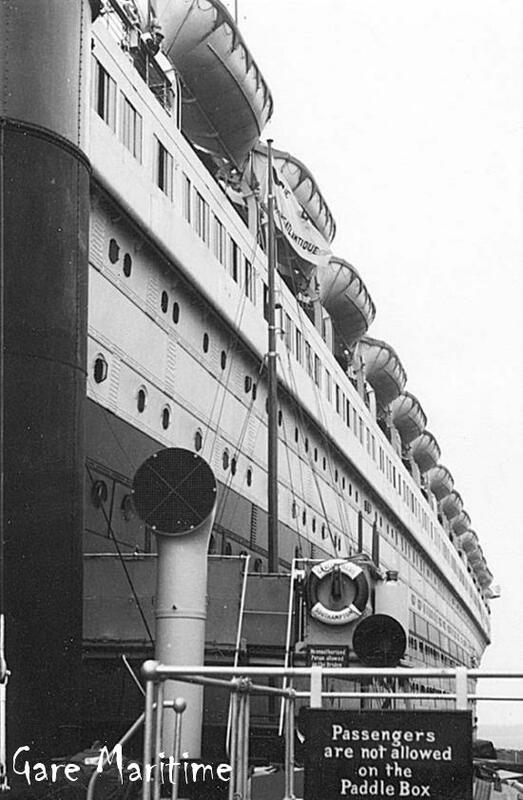 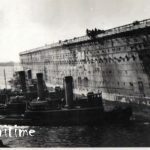 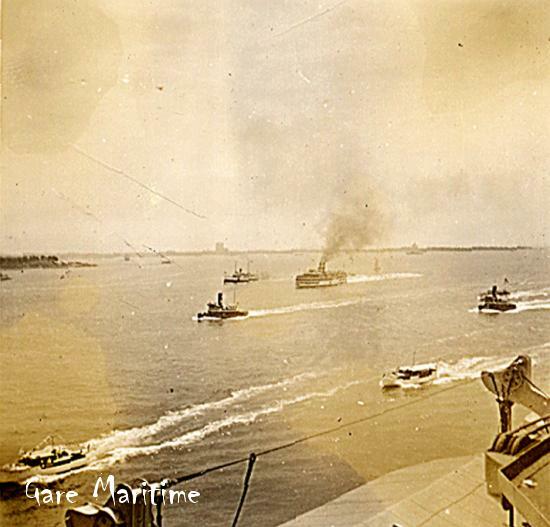 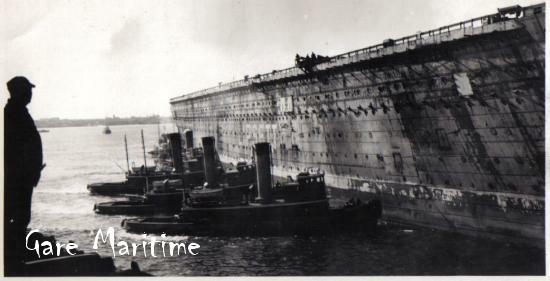 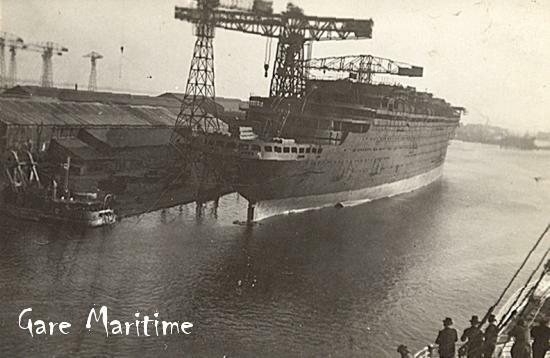 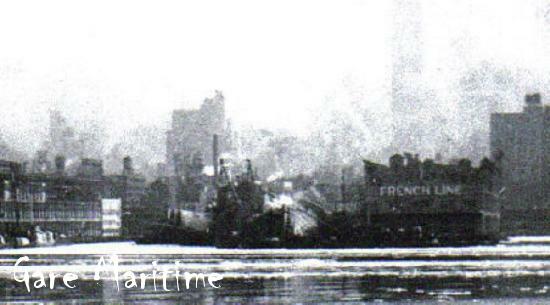 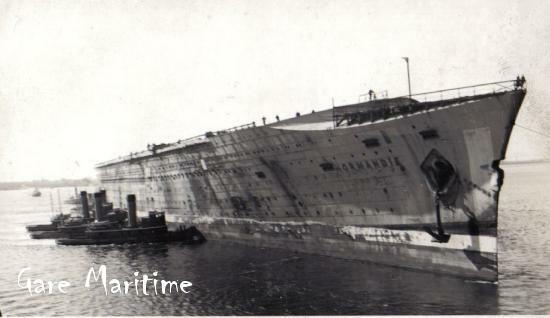 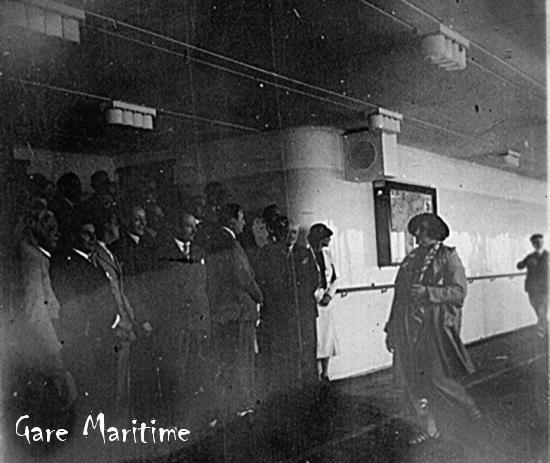 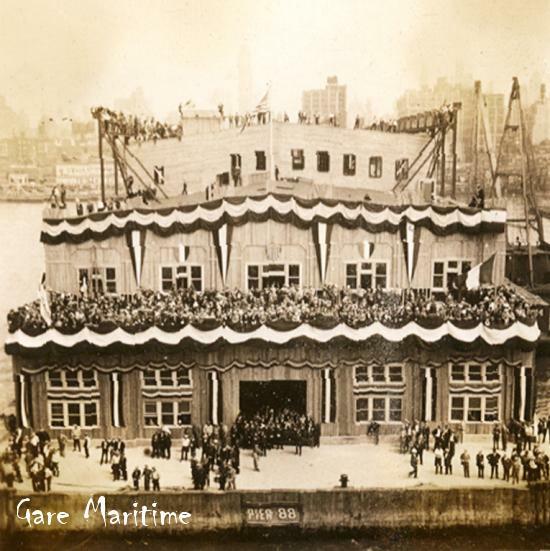 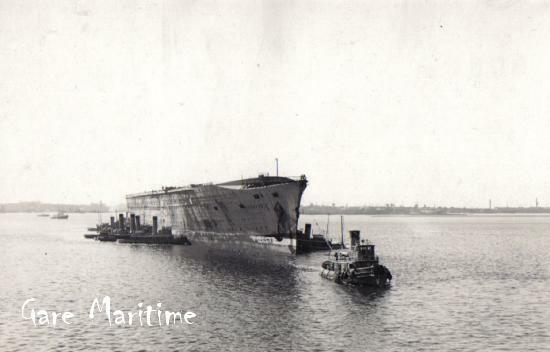 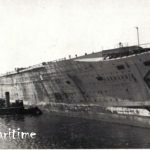 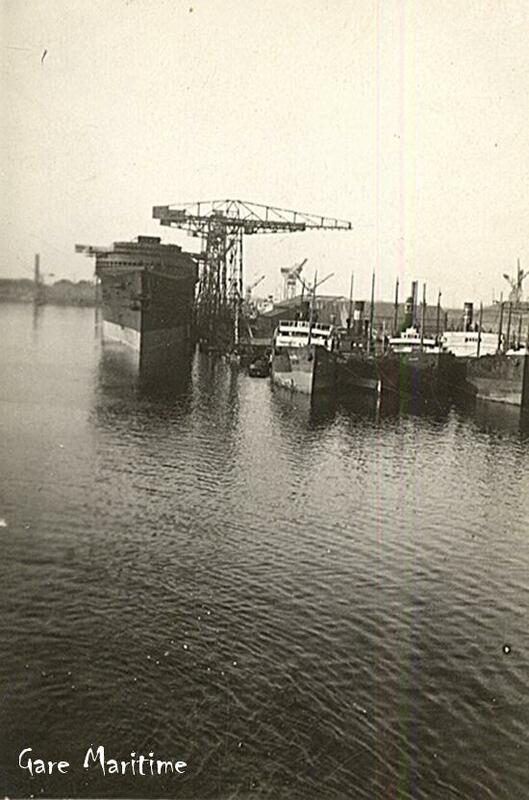 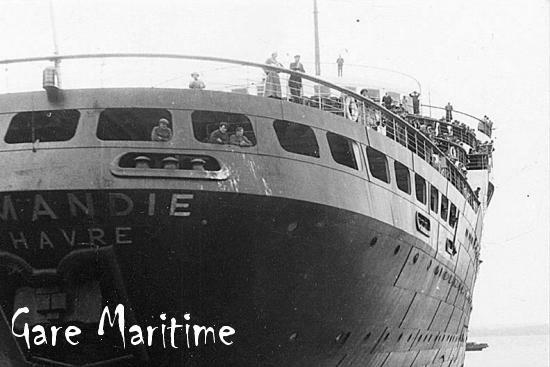 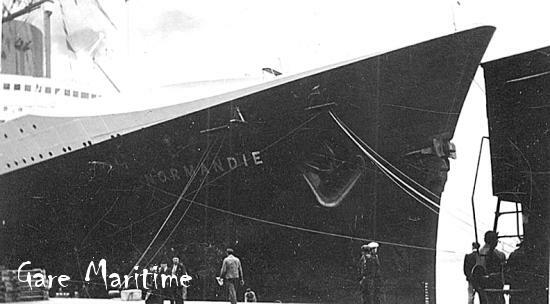 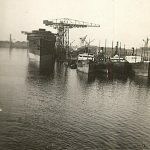 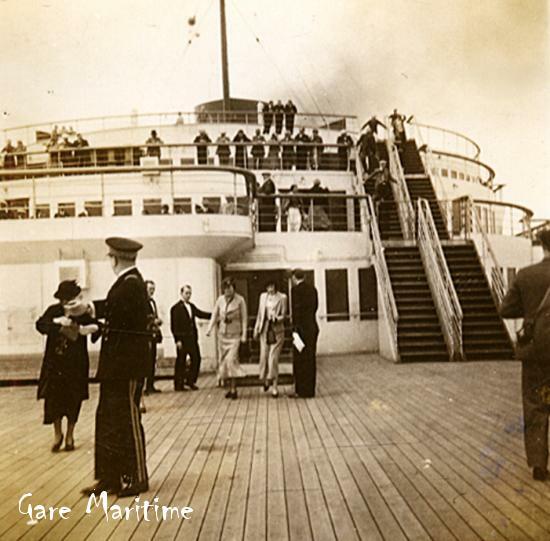 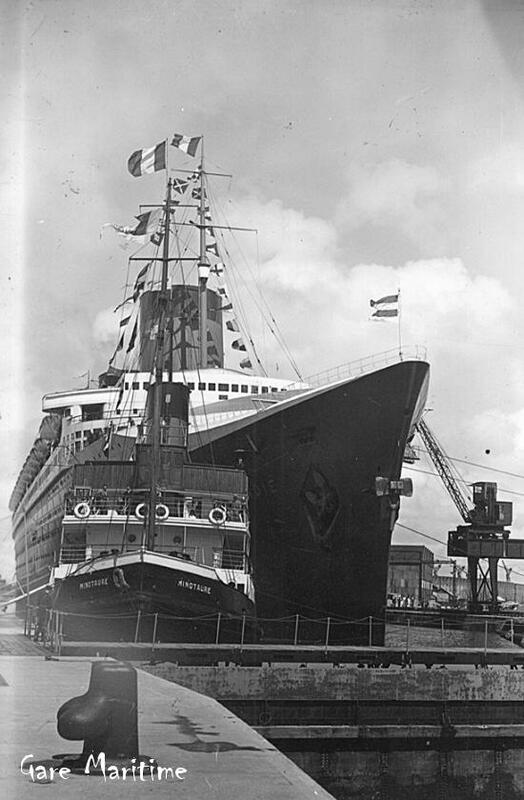 In this photo taken upon arrival in Le Havre he captured the newly renovated Normandie, the ship upon which he would return to the United States, soon after her return to service. 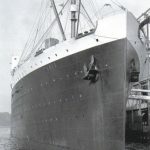 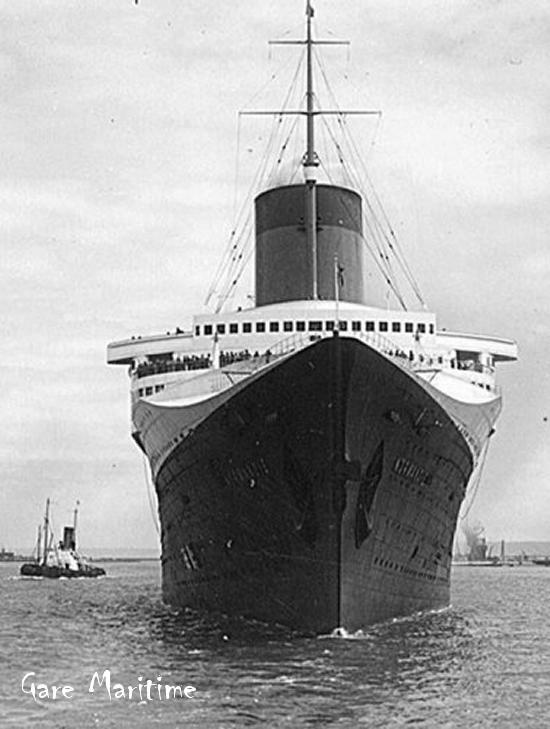 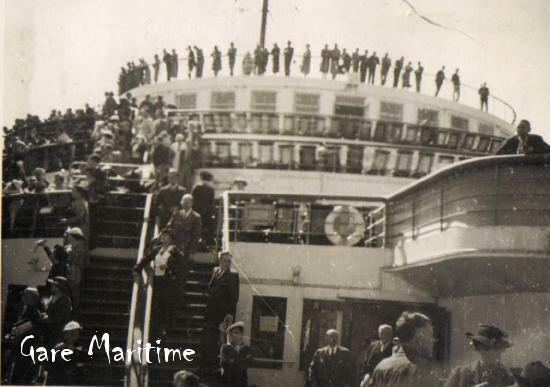 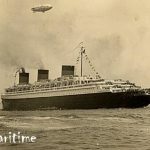 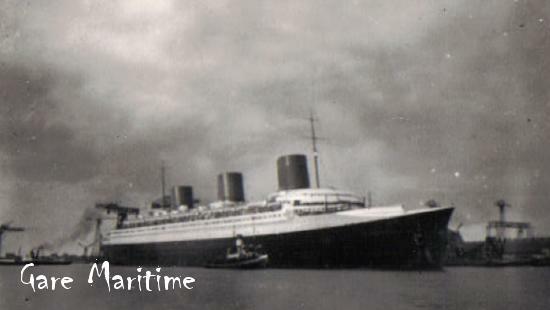 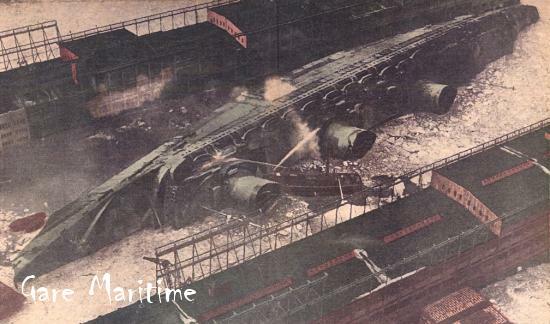 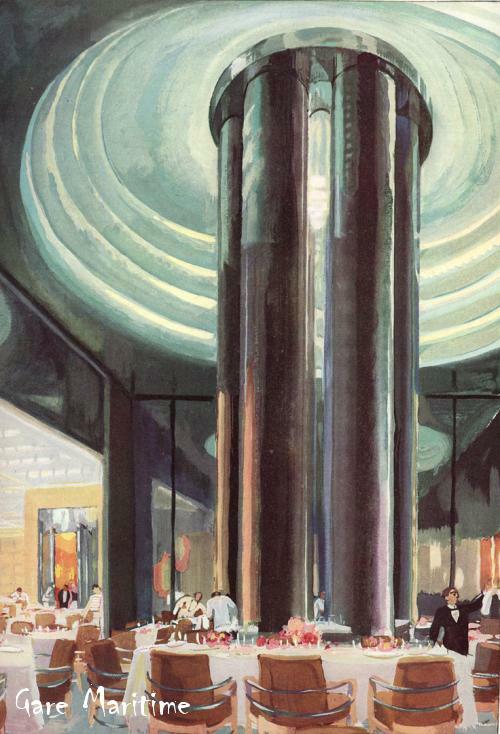 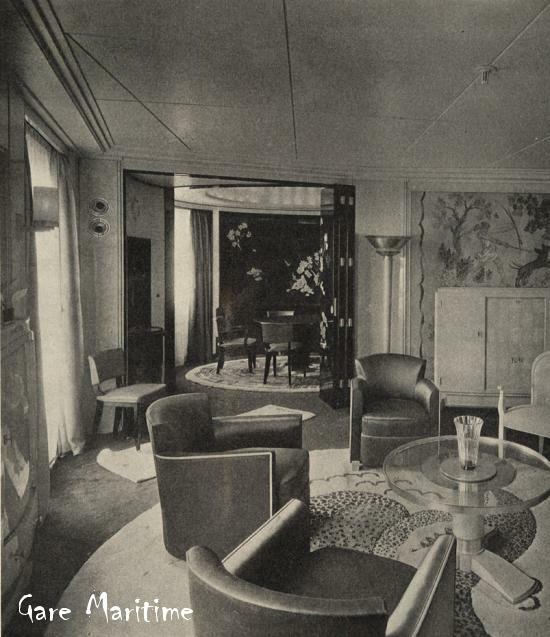 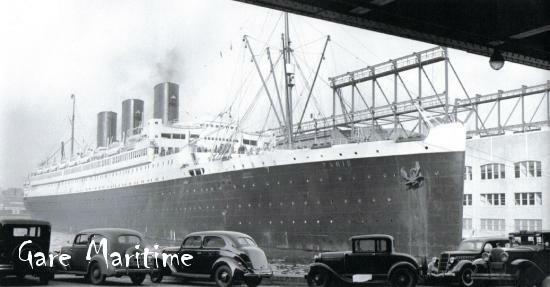 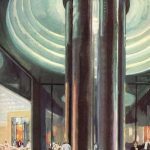 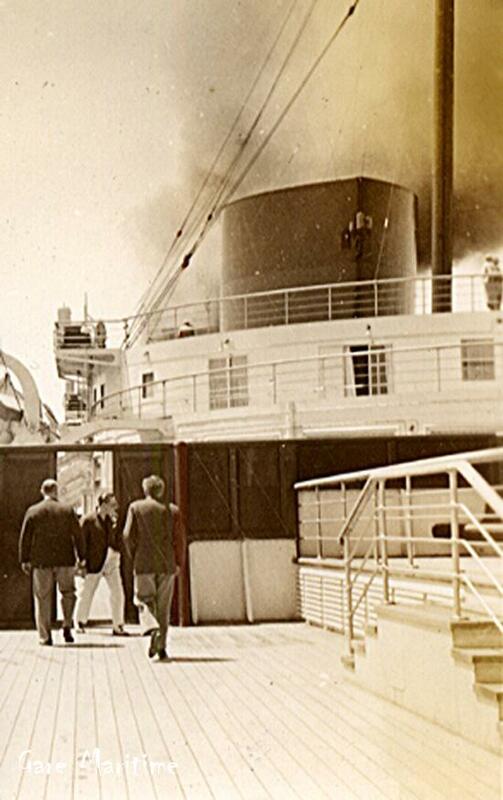 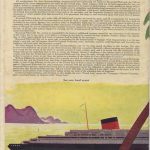 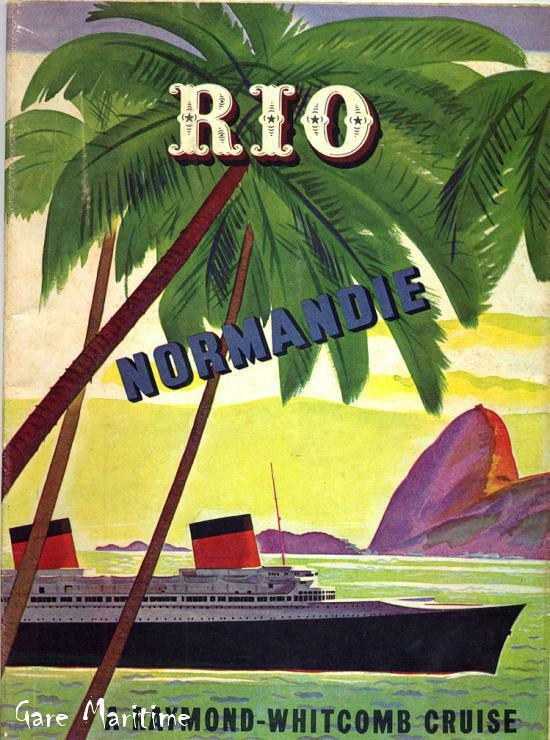 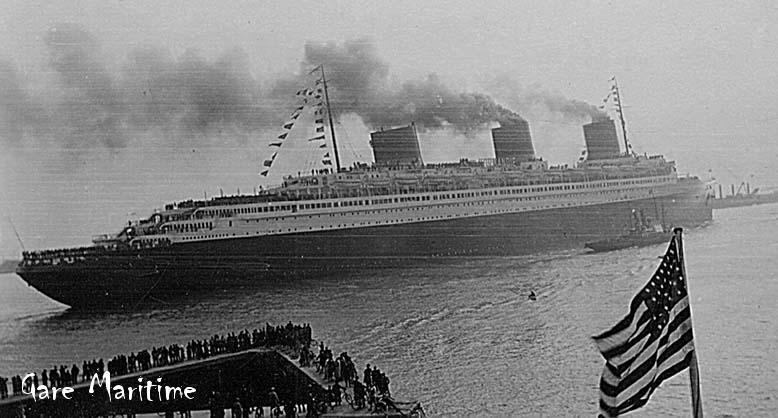 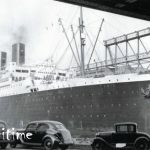 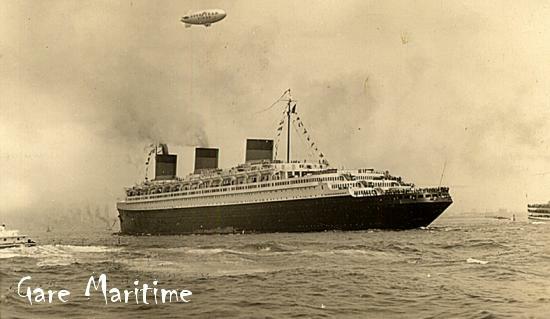 Normandie Southampton 1936. 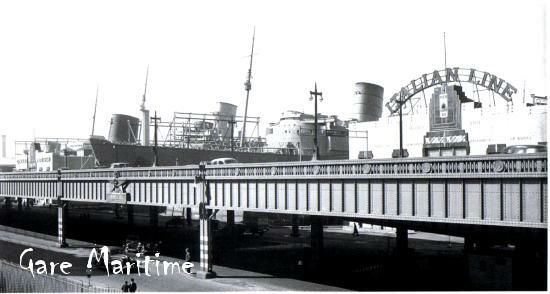 View towards the stern. 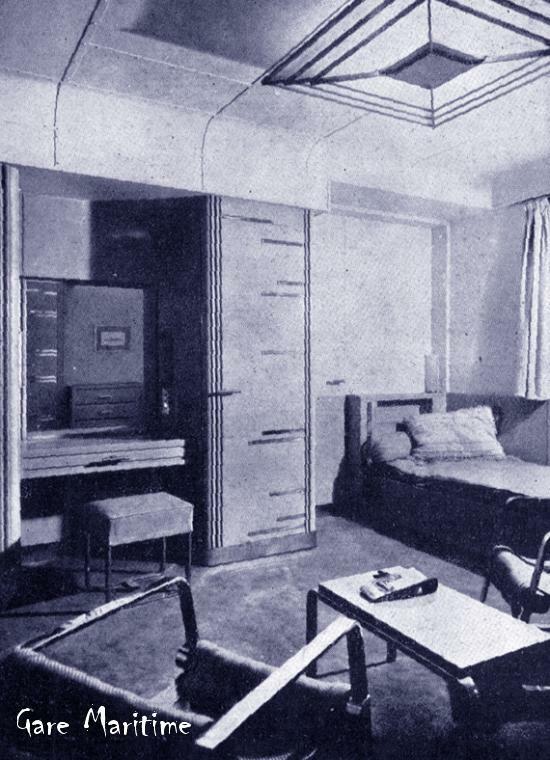 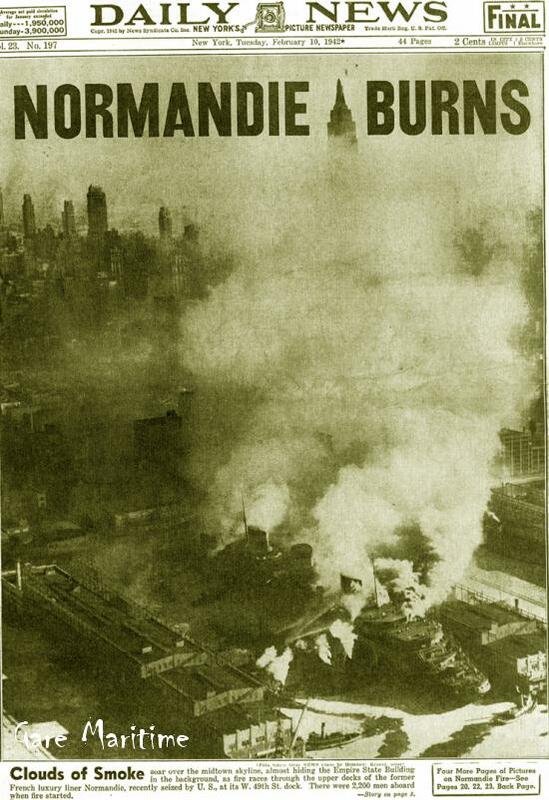 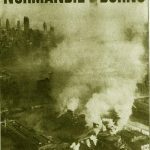 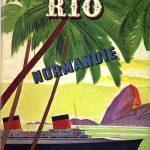 Normandie 1936. 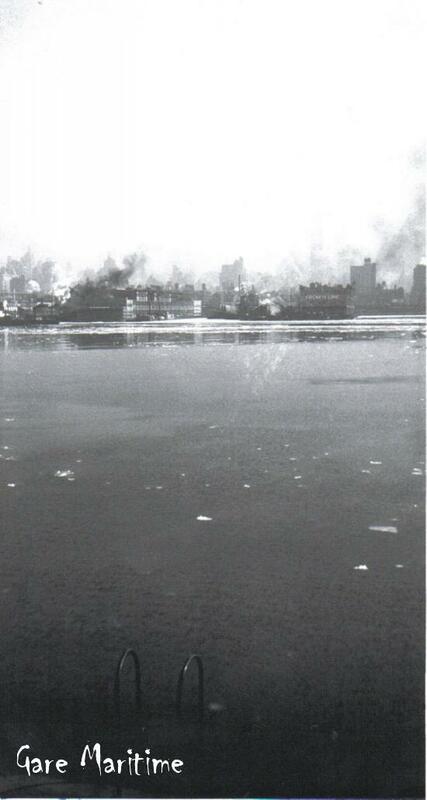 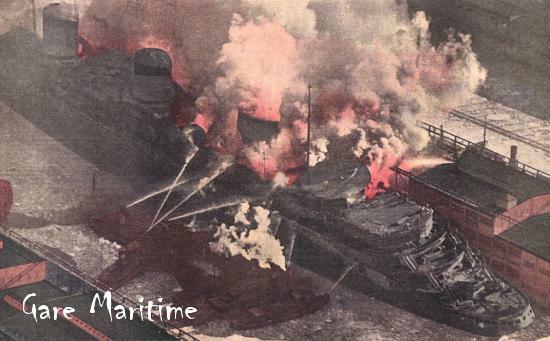 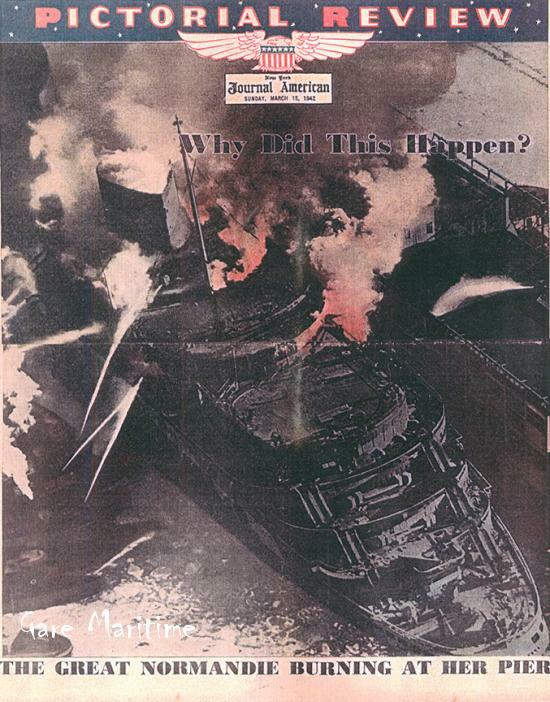 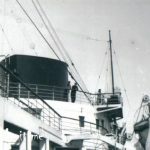 View over the stern. 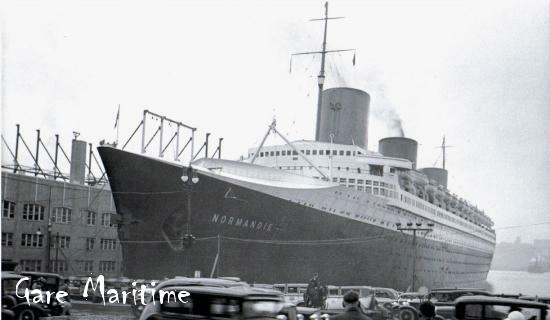 Normandie Southampton 1936. 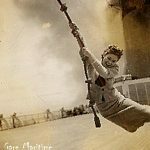 Showing her famous roll. 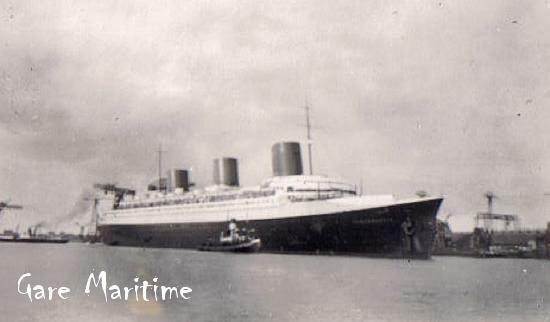 Normandie southampton 1936. 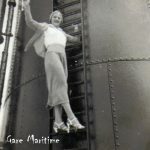 More of her roll. 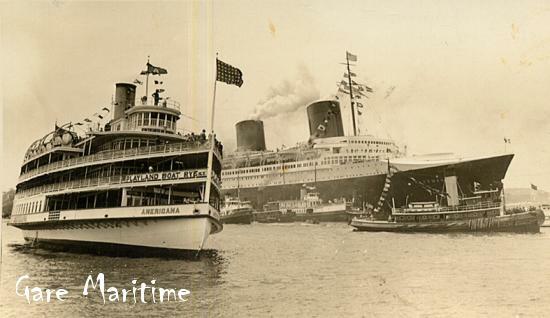 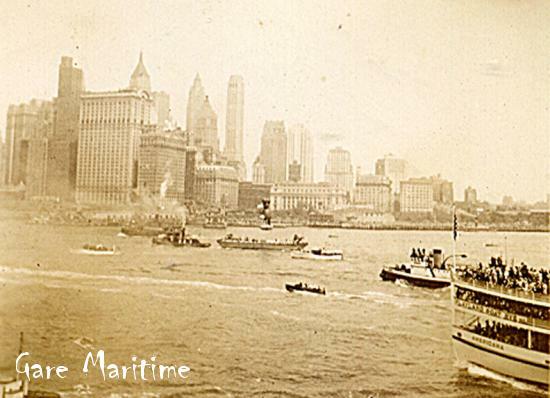 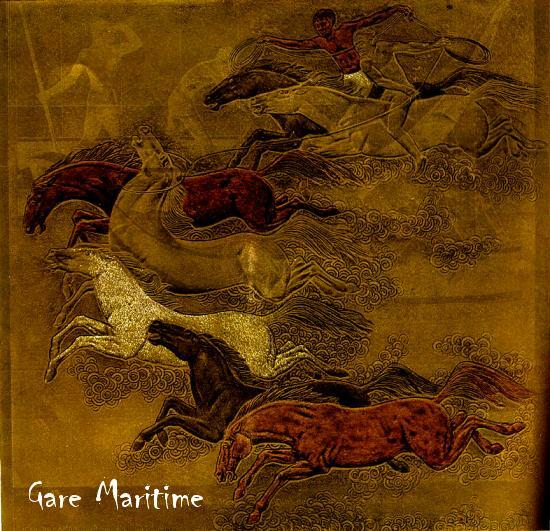 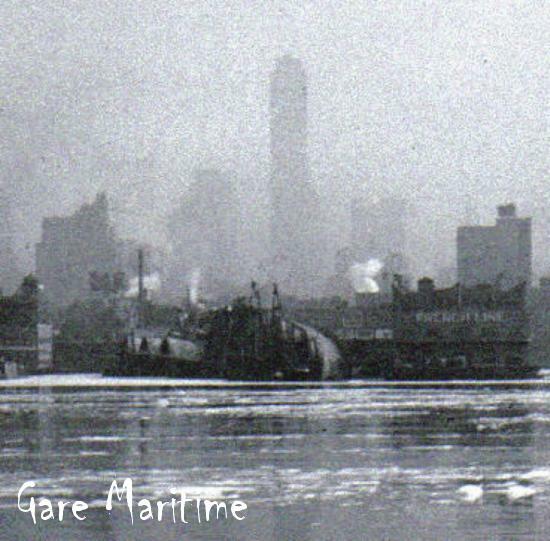 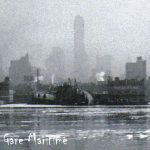 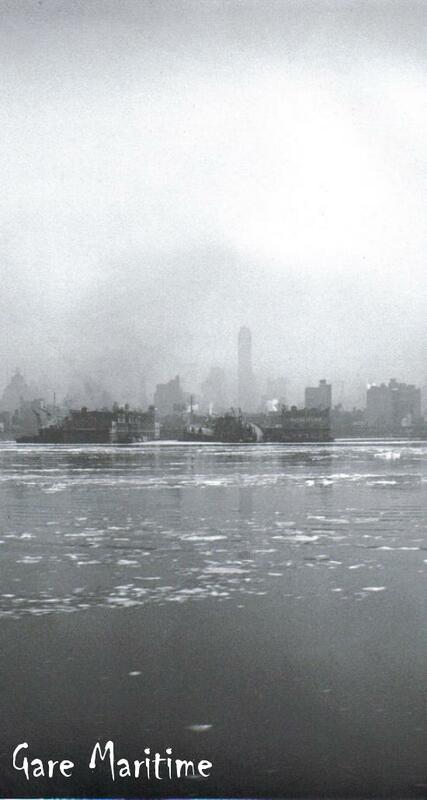 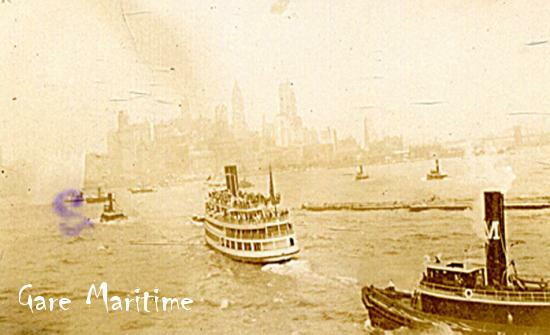 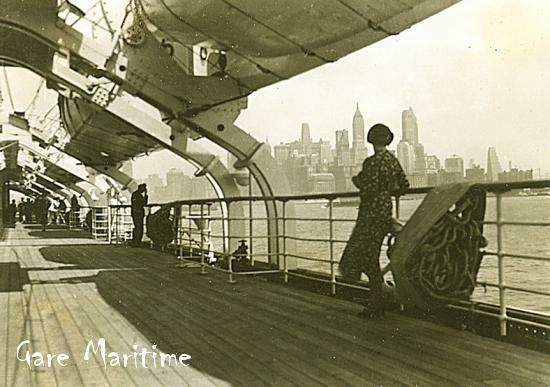 Americana and Normandie Maiden Arrival NYC. 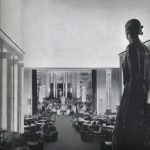 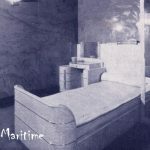 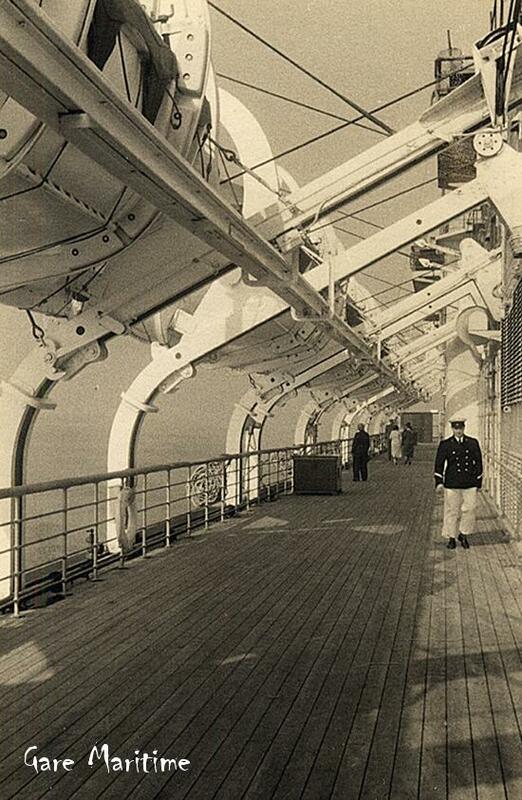 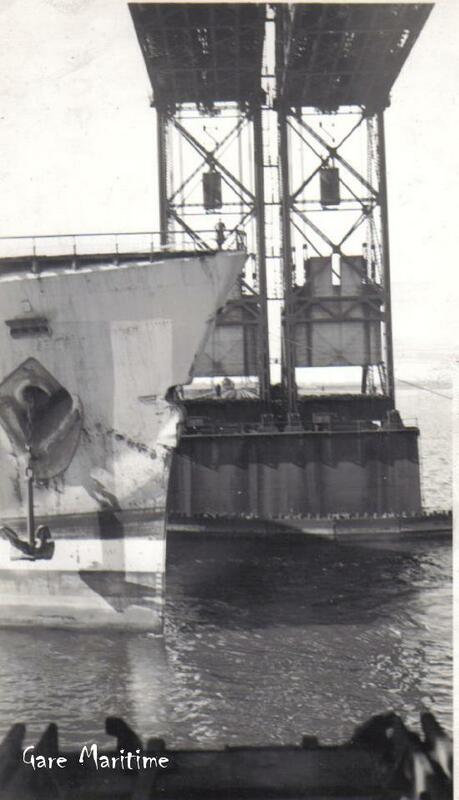 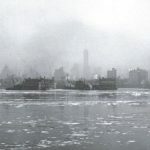 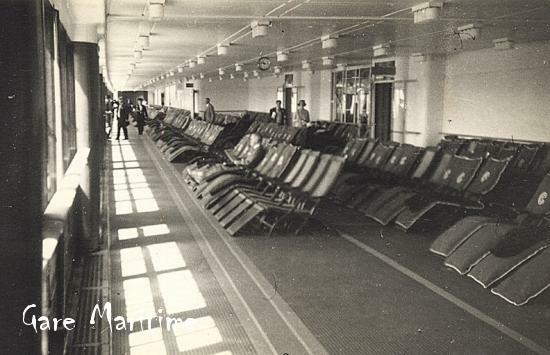 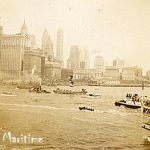 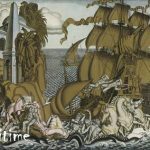 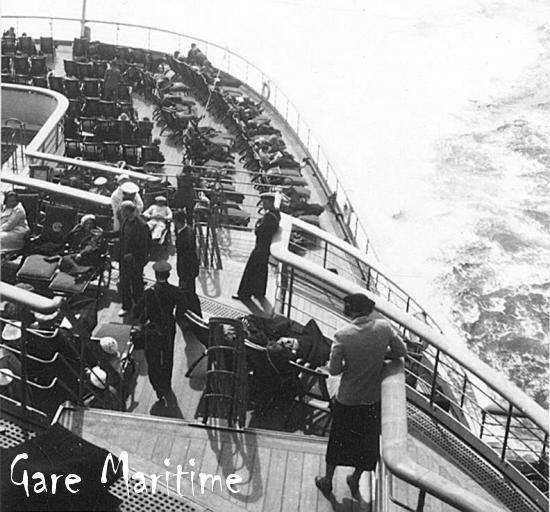 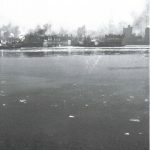 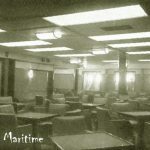 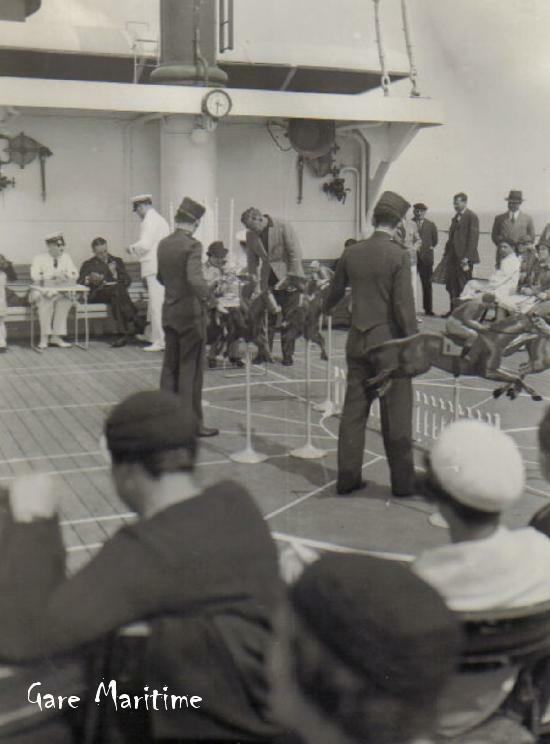 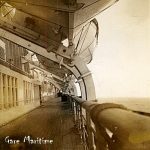 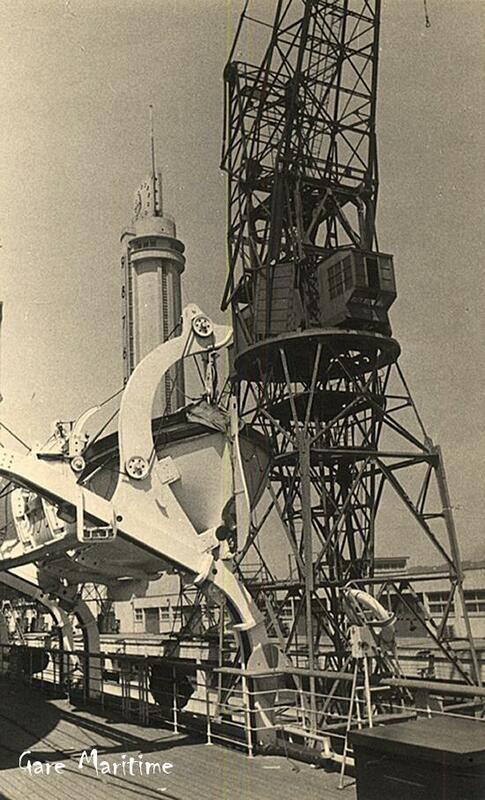 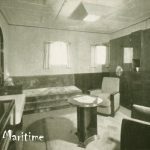 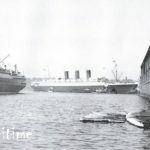 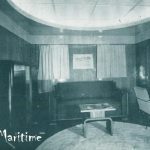 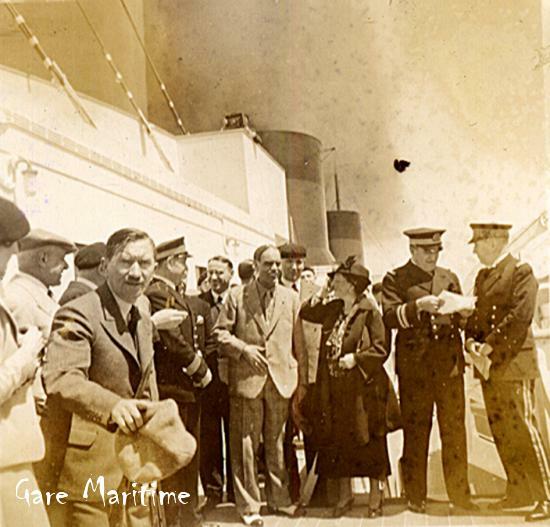 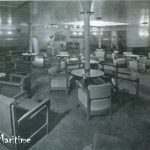 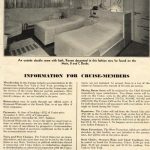 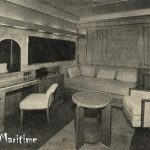 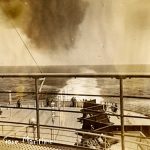 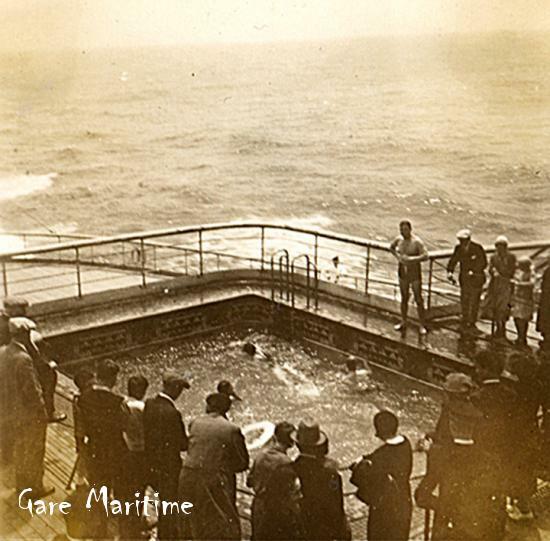 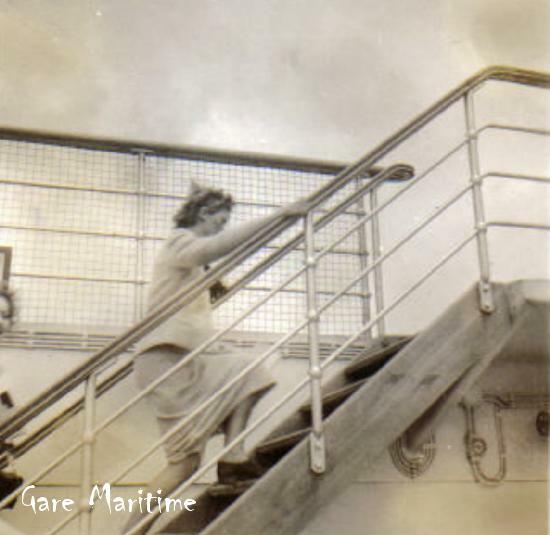 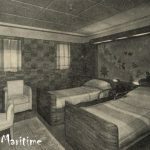 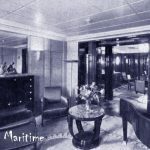 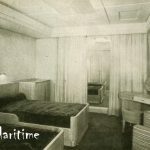 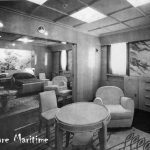 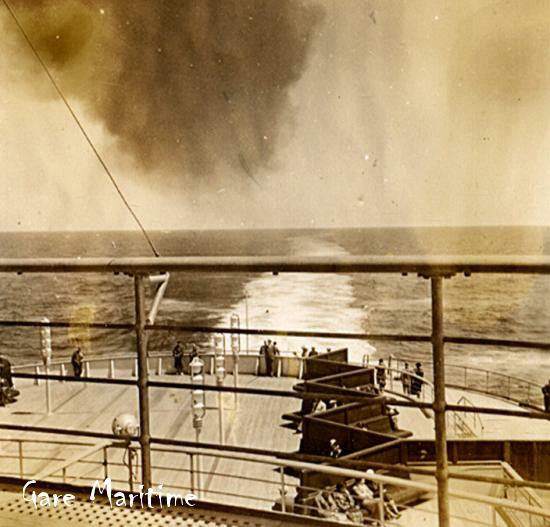 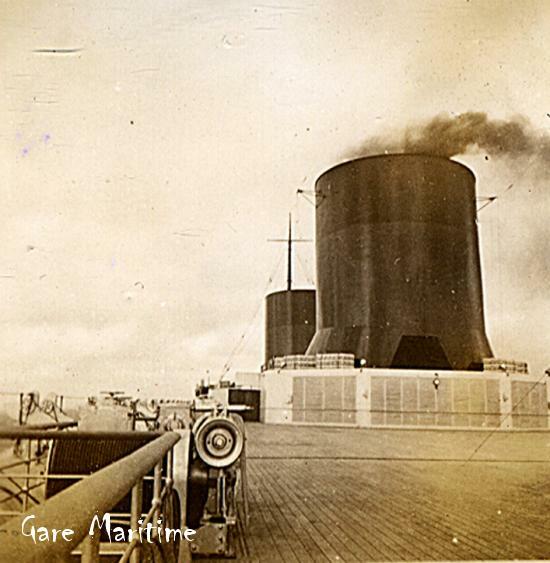 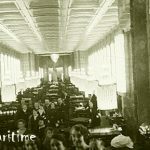 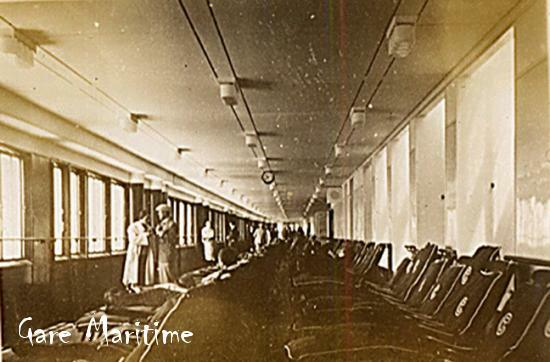 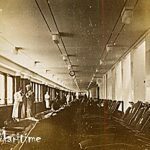 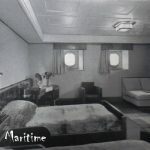 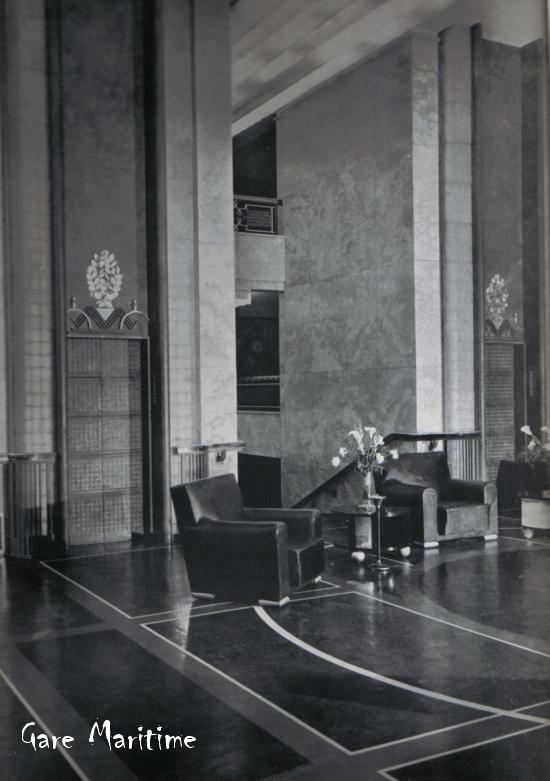 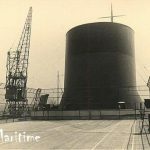 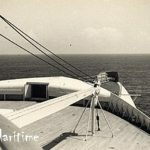 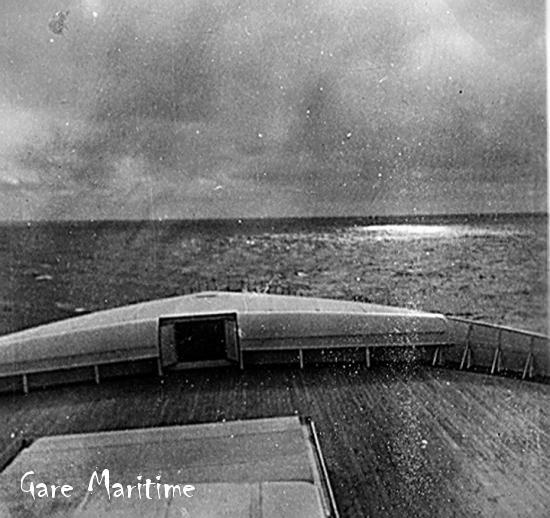 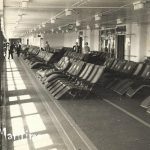 A series of photos taken by a first class passenger on the maiden voyage. 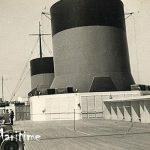 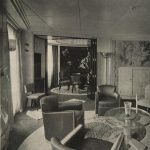 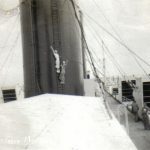 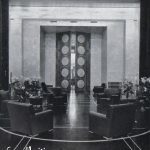 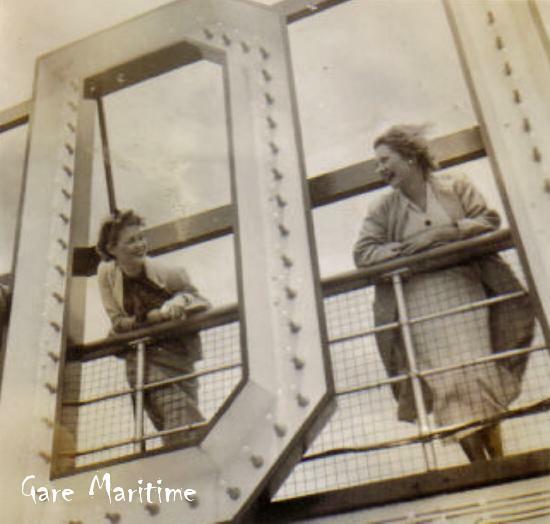 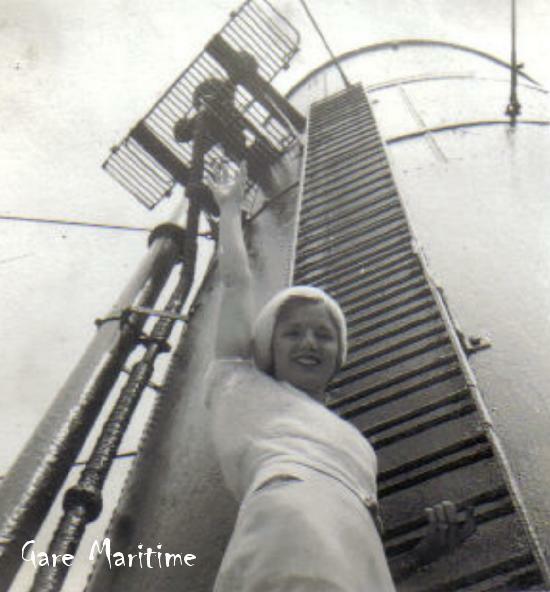 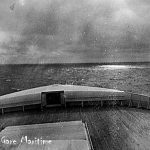 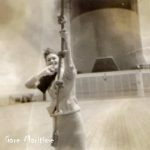 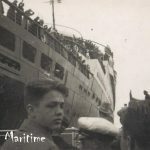 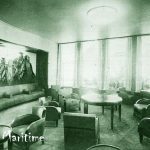 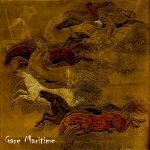 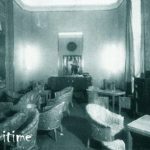 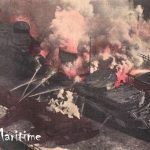 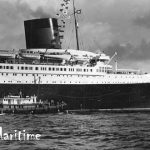 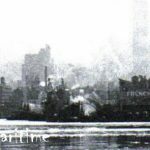 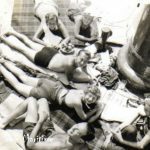 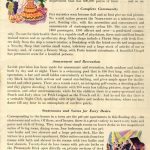 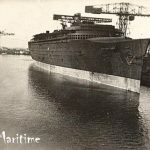 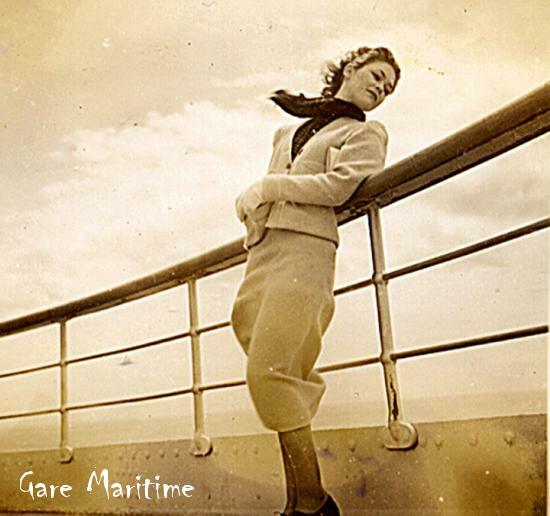 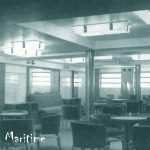 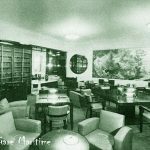 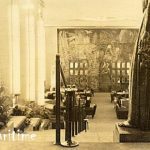 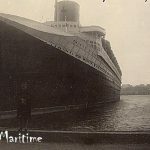 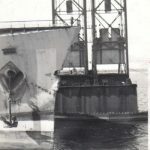 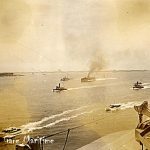 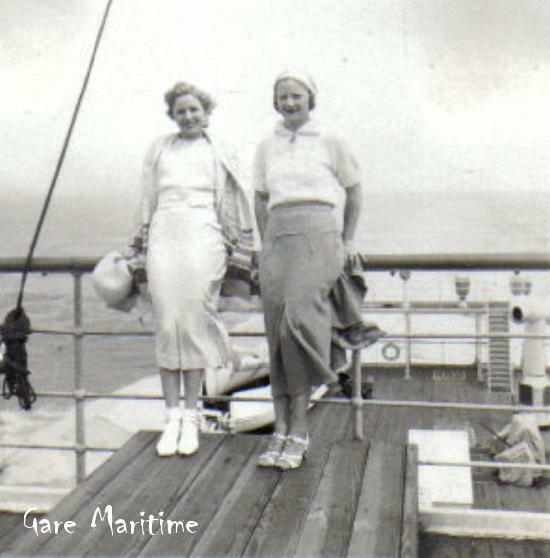 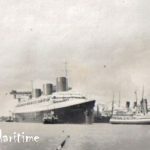 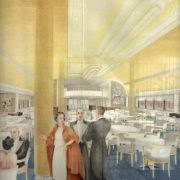 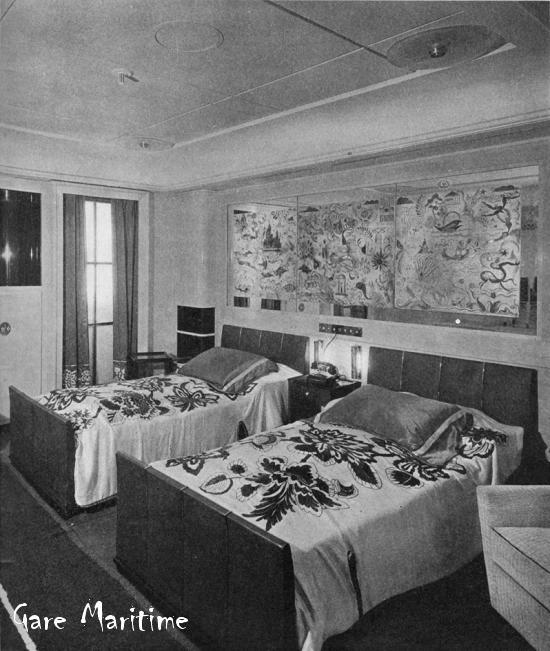 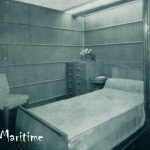 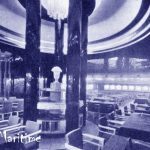 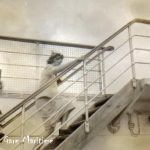 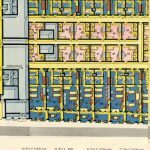 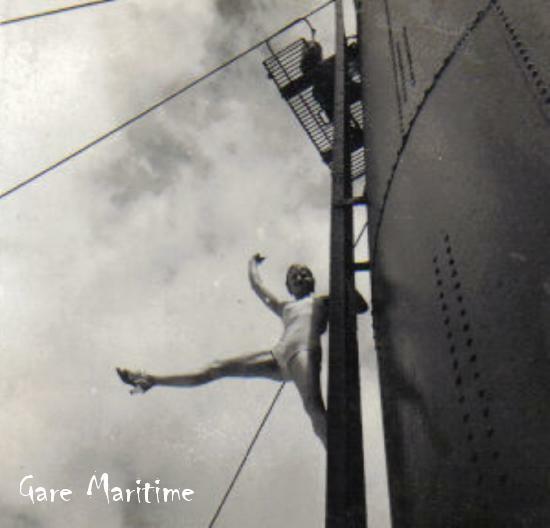 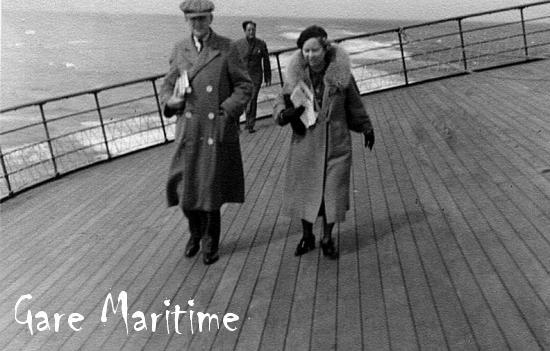 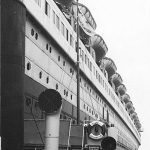 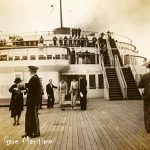 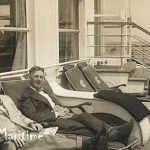 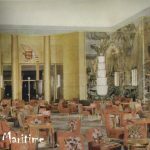 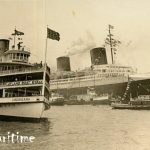 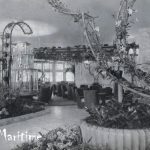 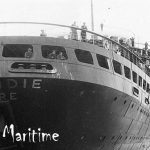 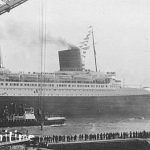 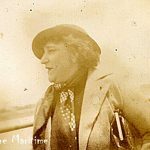 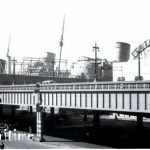 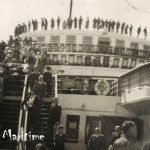 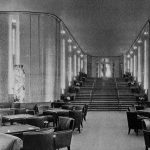 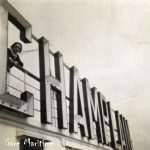 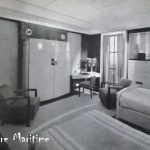 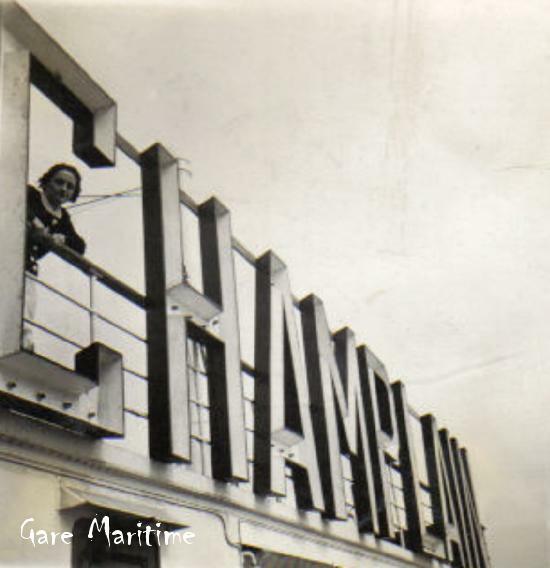 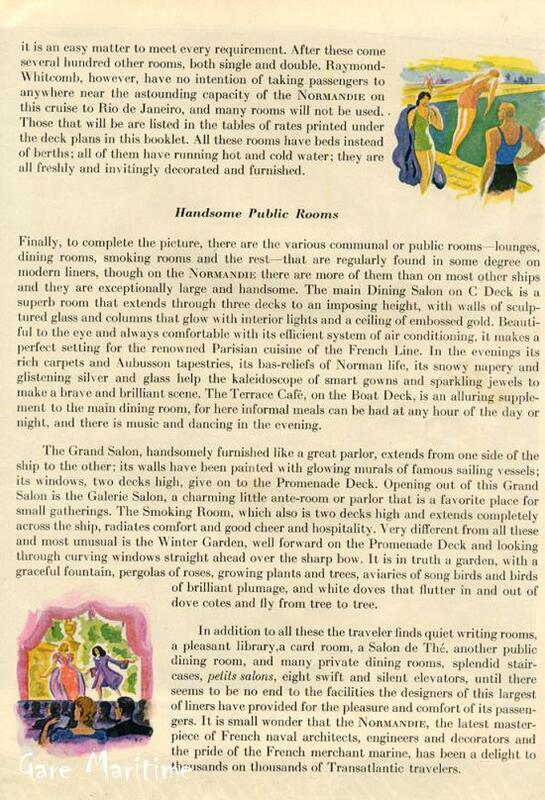 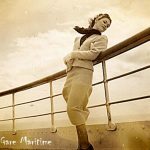 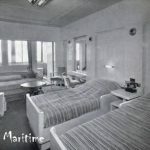 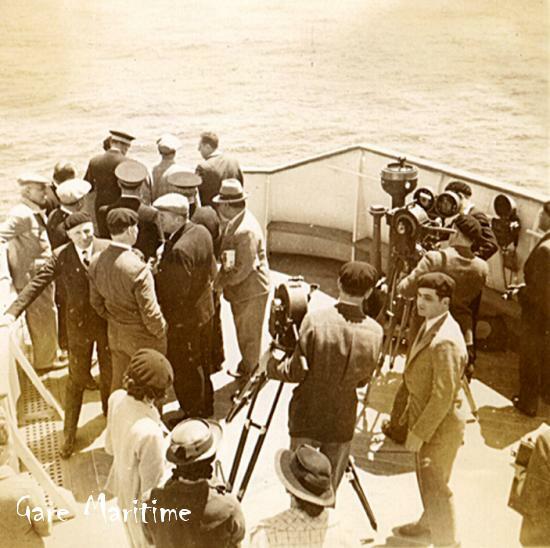 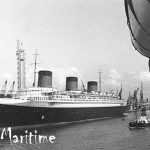 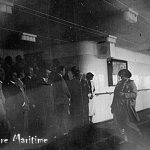 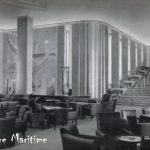 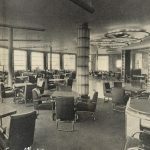 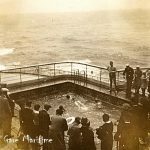 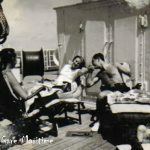 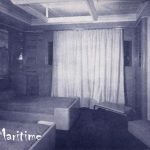 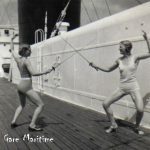 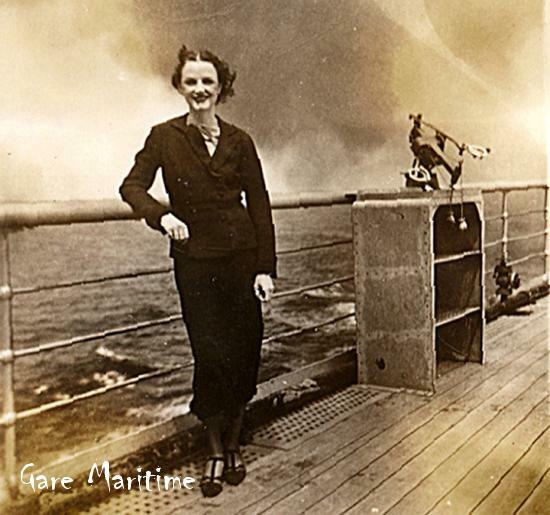 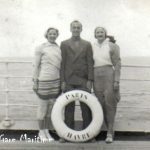 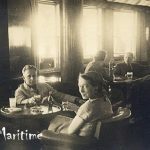 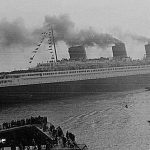 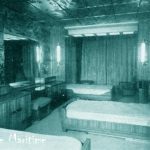 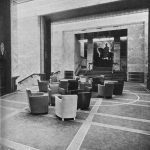 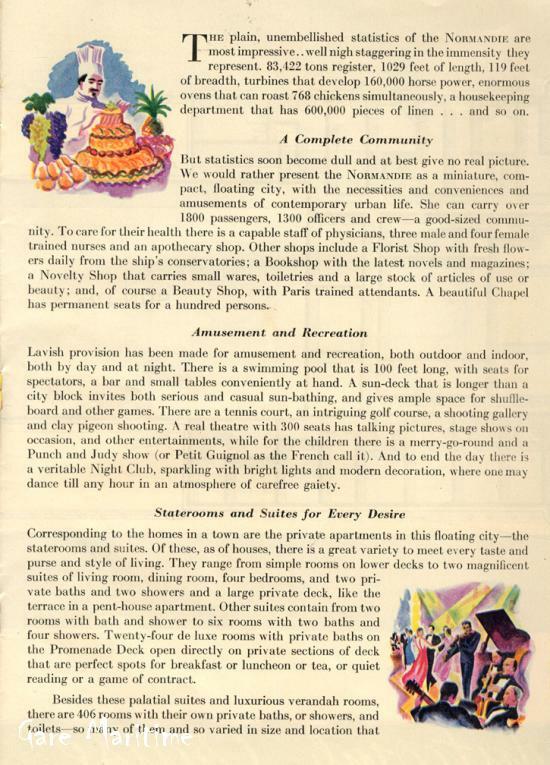 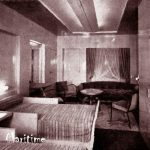 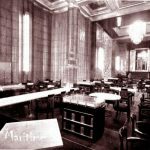 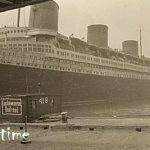 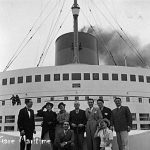 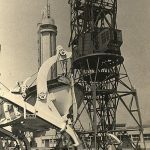 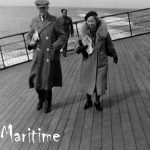 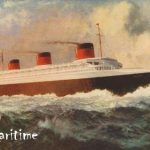 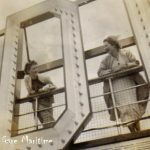 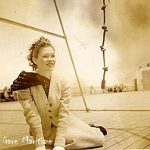 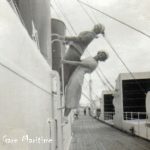 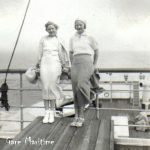 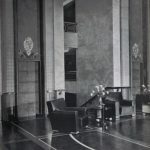 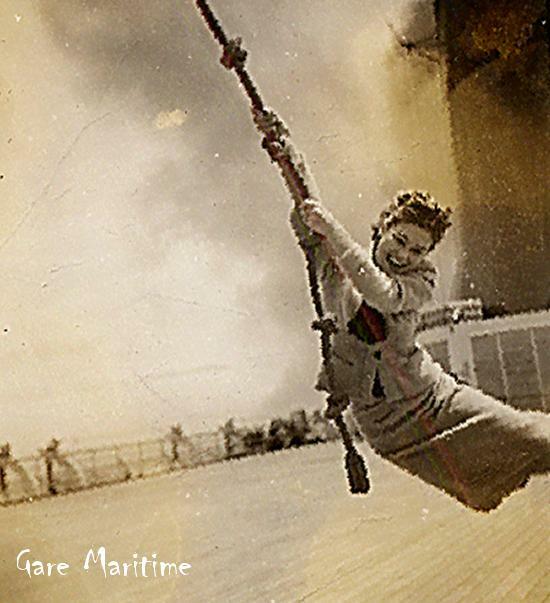 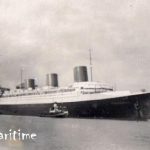 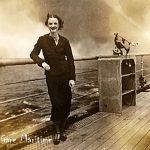 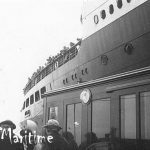 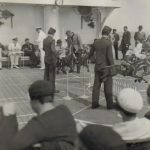 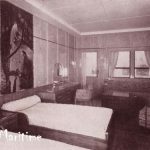 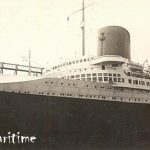 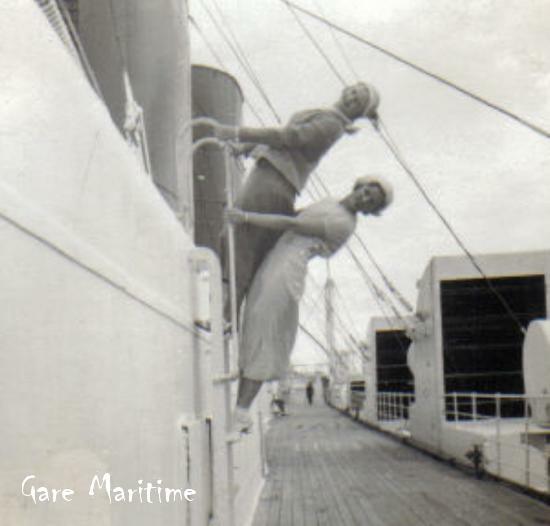 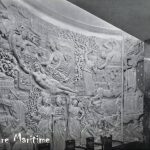 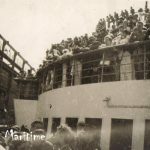 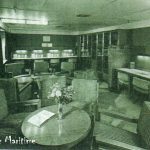 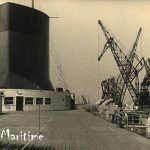 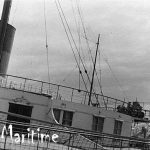 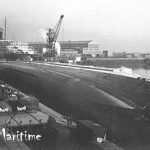 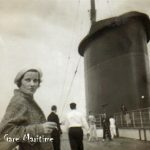 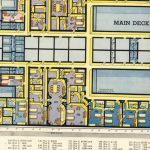 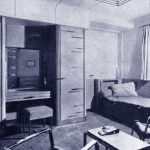 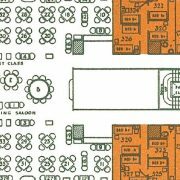 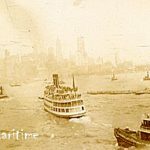 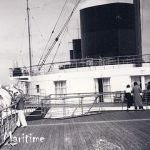 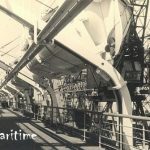 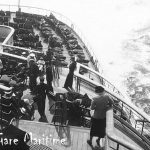 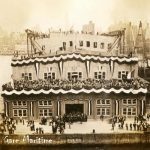 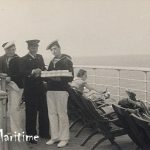 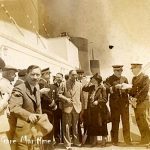 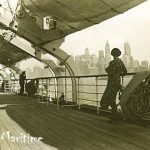 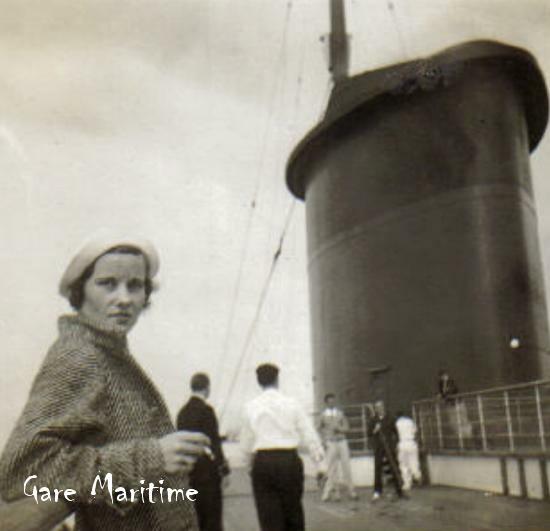 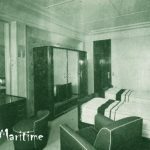 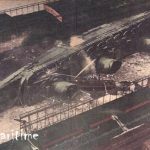 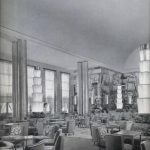 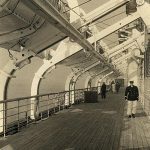 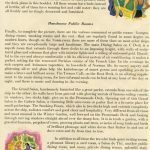 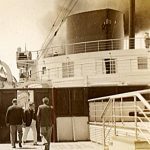 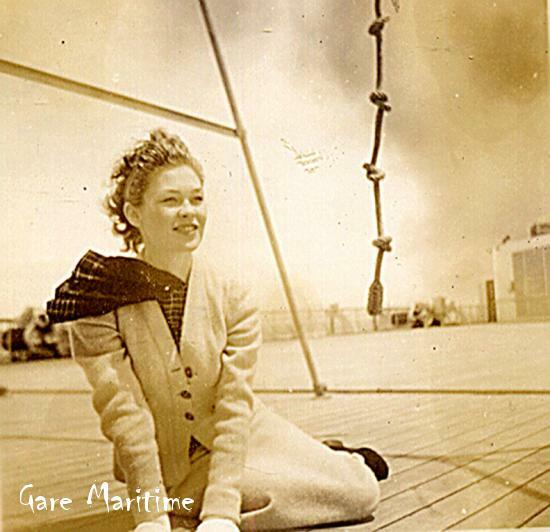 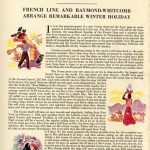 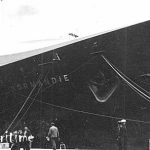 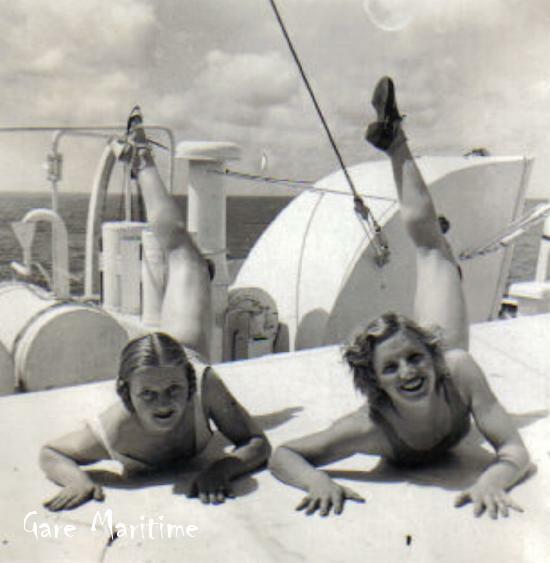 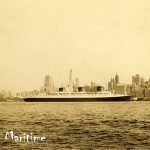 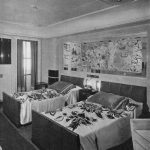 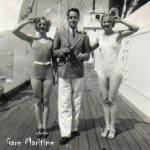 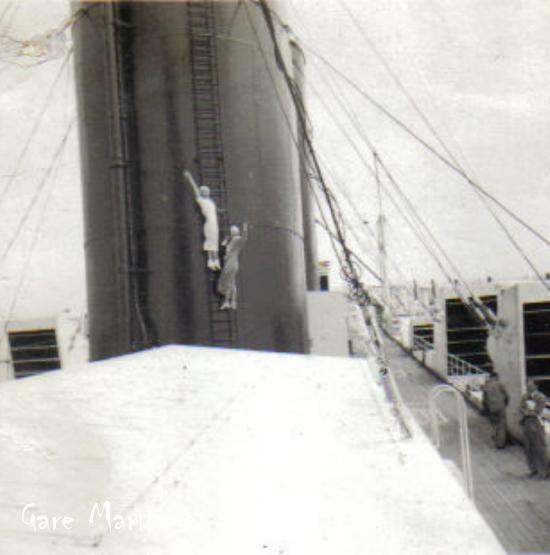 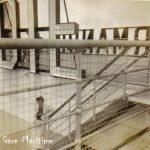 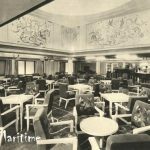 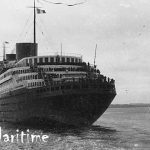 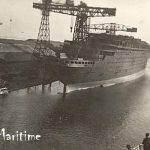 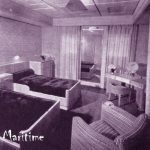 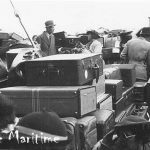 Her scrapbook contains over 150 photos taken aboard the Normandie and the Paris, each of them in the common 2″x2″ from the the 1930s. 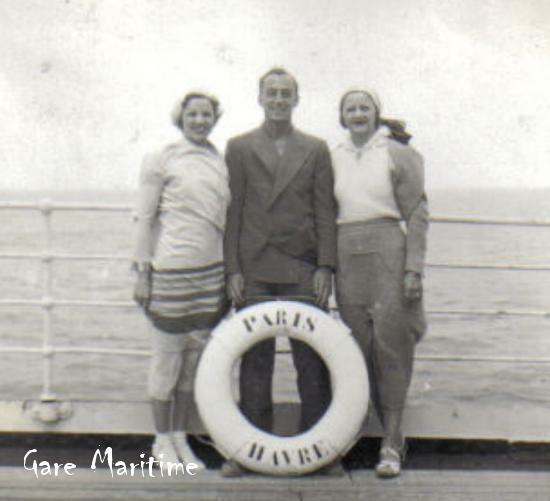 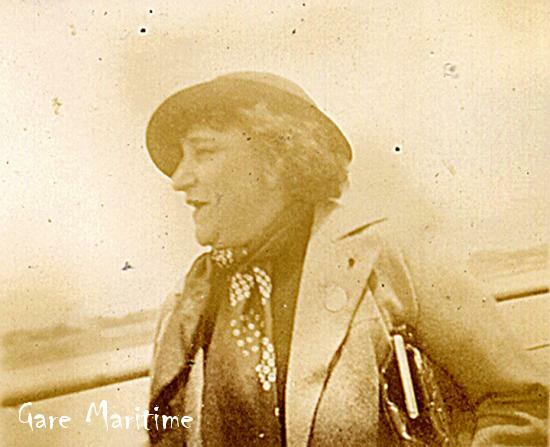 Although the woman is not identifed by name in the scrapbook, she strongly resembles Mlle. 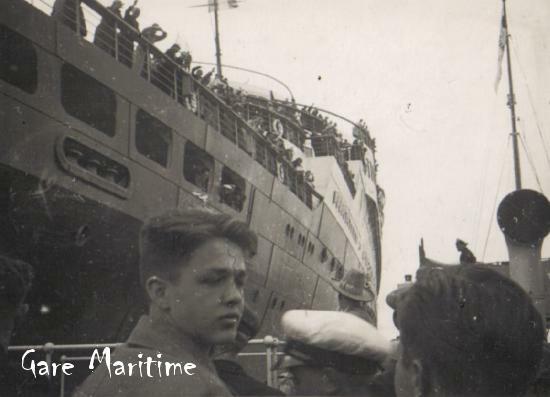 Lude, one of the Vogue models known to have made the crossing.